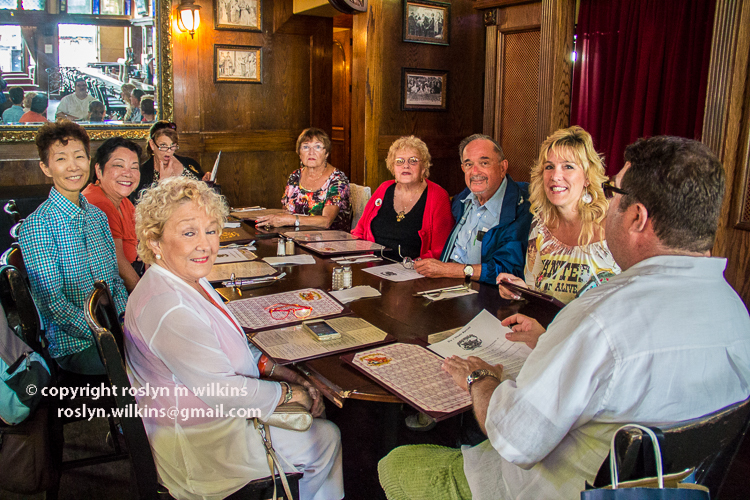 Before our tour of Forever Hollywood Cemetery last Sunday (see my previous blog post here), my fellow tour guides met at the Pig ‘n Whistle for lunch. 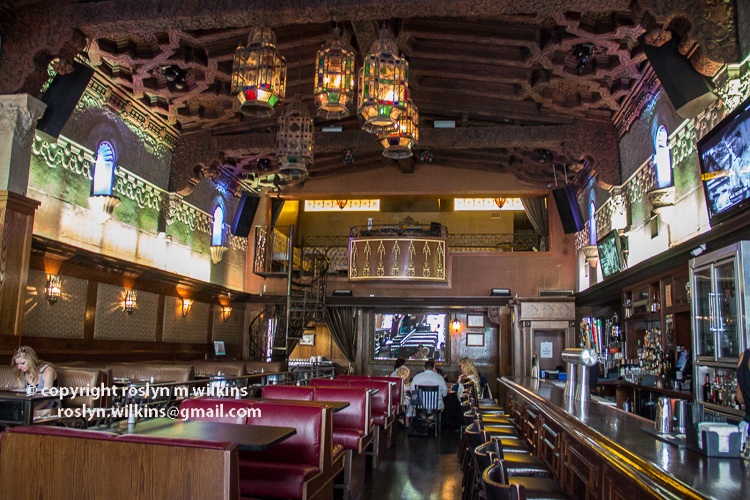 Located on Hollywood Boulevard near the Grauman’s Chinese Theater, the restaurant has a quasi British Pub ambience. 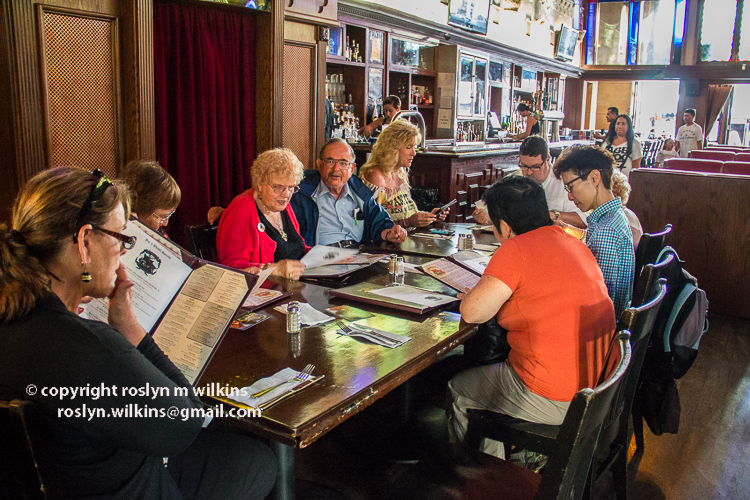 There is a Pub menu sporting items such as bangers and mash, fish ‘n chips and shepherd’s pie. 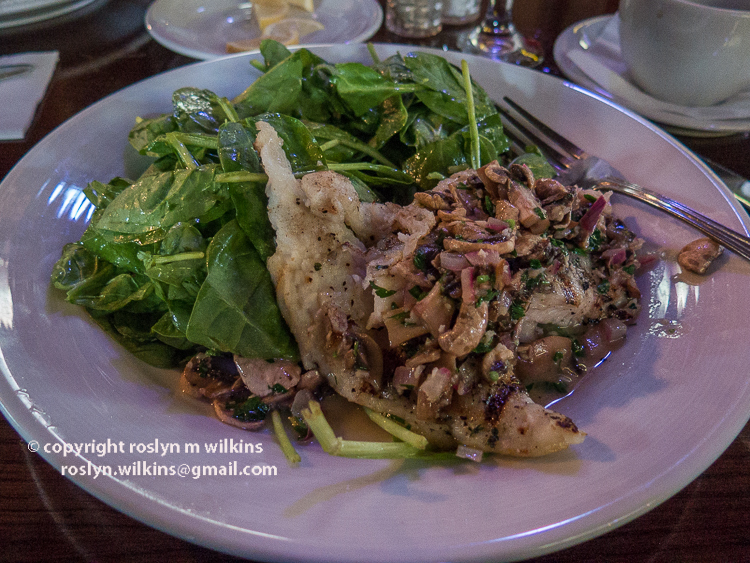 But I decided to go for the Mahi Mahi covered in mushrooms on a bed of fresh spinach leaves. There was enough spinach for a week and as much as I love the stuff I could only eat half of it. I hated to waste it but I really didn’t fancy carrying a bag of spinach through the cemetery or on the bus home! 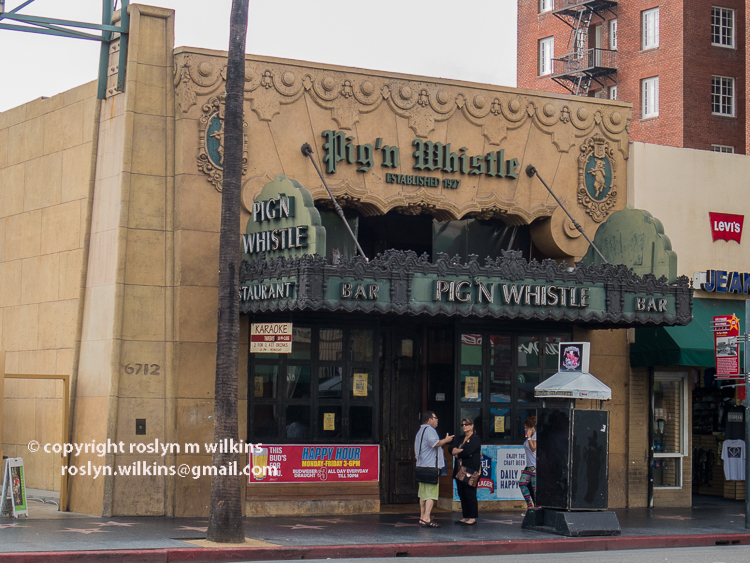 The Pig ‘n Whistle is now a chain restaurant but this is the original, located here since 1927 and is a Los Angeles Historic Landmark #37. 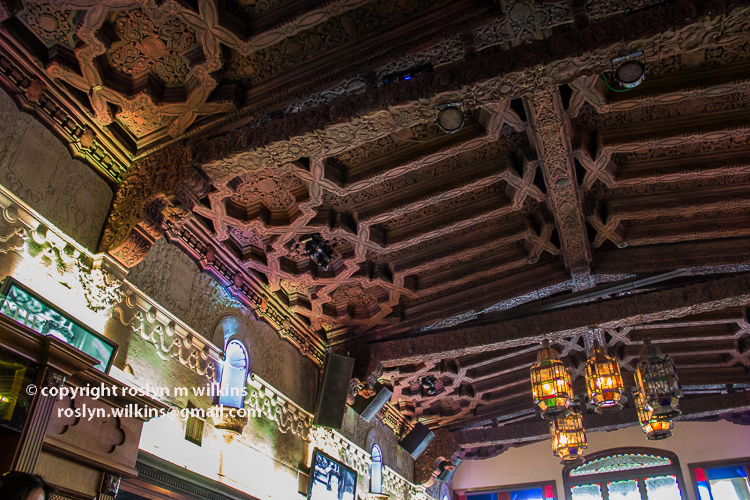 The restaurant boasts a fabulous decorative ceiling. As plaster ceilings made to look like wood were very popular in the 1920s I assumed this was the case here. 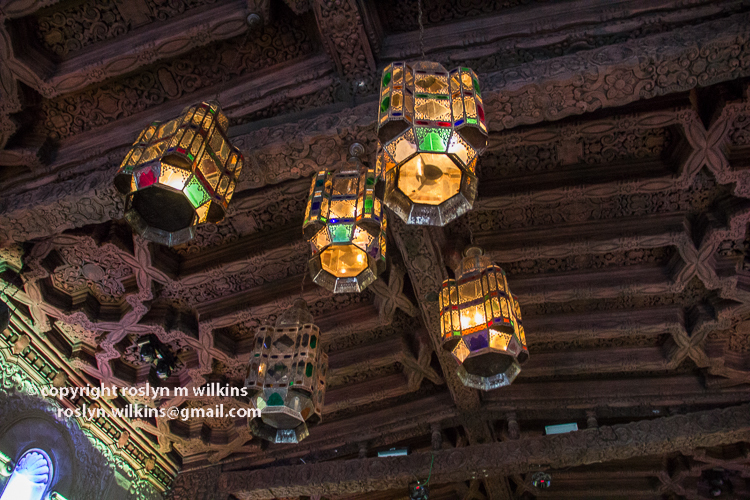 However, the website states the ceilings really are carved wood so that is very impressive indeed. I had a terrible time with the lighting, as you can see. With bright light pouring in from outside, artificial light inside alternating with dark areas, the light meter on my camera was going crazy. I could have experimented but I was there for lunch, not to take magazine quality photos. So we will have to live with it. 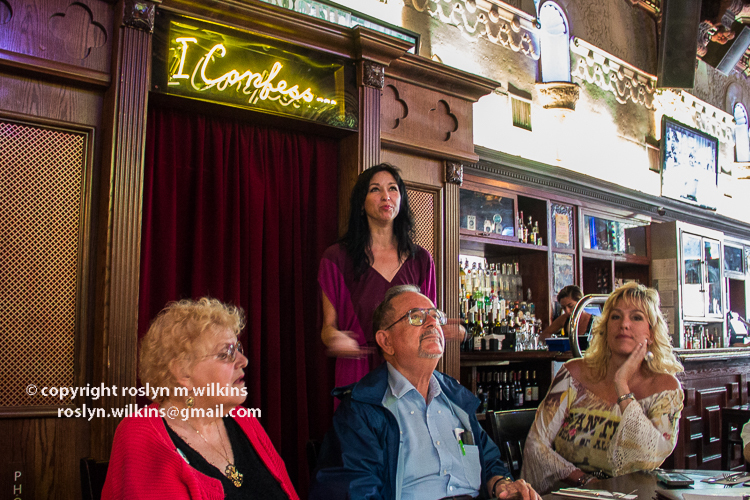 As always, the light fixtures caught my attention. 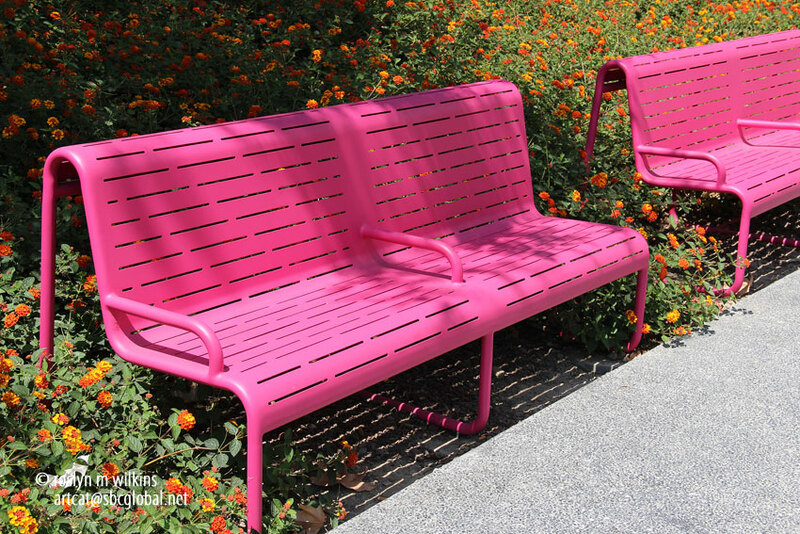 These would look so great in my living room. 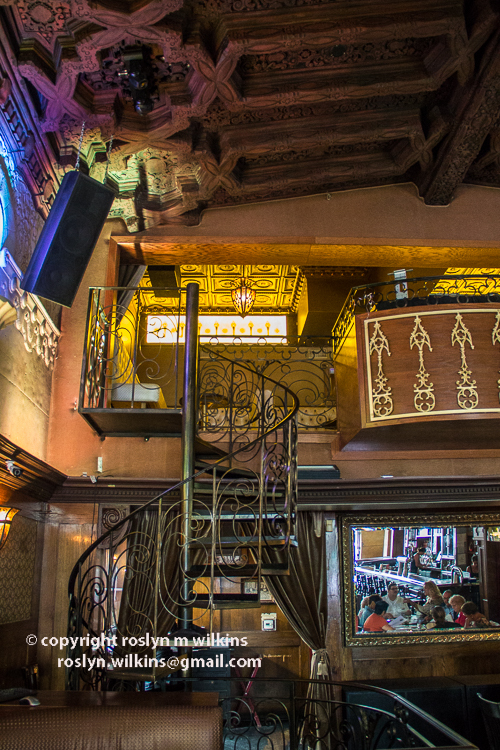 Stairs to the mezzanine which looks like it would be a great place for a private party… I’m just guessing. A couple of shots of our merry group. 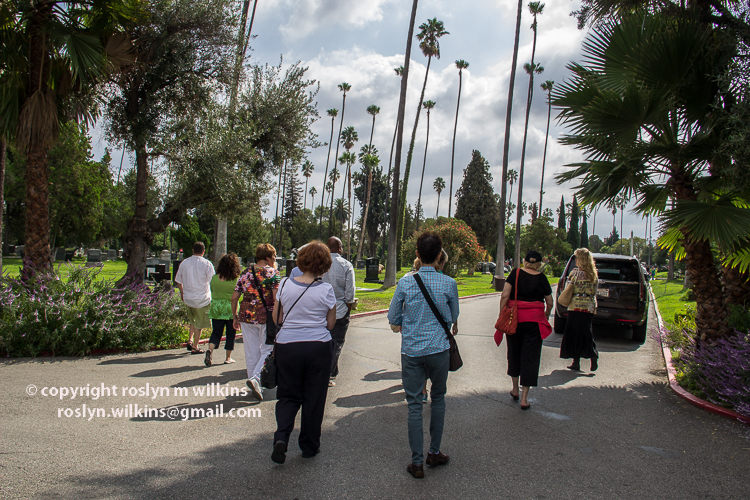 A few people decided to skip the lunch and meet us at Hollywood Forever. But I have wanted to eat a meal at the Pig ‘n Whistle for a long, long time so I took the opportunity. I would love to go back when I can sit at the bar and order a good old British G & T (gin ‘n tonic). So by now I am sure you are asking, what the heck does Colin Firth have to do with all of this? 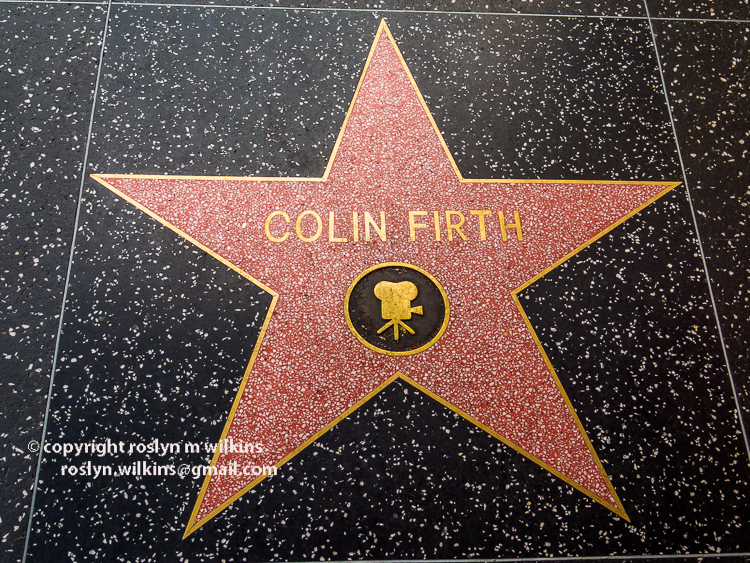 2011 was the Year of Colin Firth. 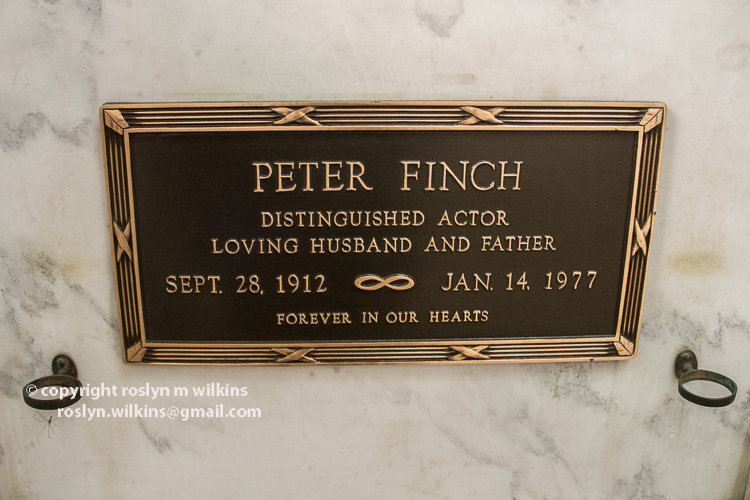 Not only did he win an Oscar but also a Golden Globe for Best Actor in “The King’s Speech.” And he was laid to rest on the Hollywood Walk of Fame just outside the Pig ‘n Whistle… well, at least his star was laid in the sidewalk. This is a coveted spot as it has become the unofficial Brit location, home to the stars of other British luminaries such as Emma Thompson, Helen Mirren and Malcolm McDowell. I’m trying to figure out how I can qualify for a star and come up with the necessary $30,000 for upkeep. 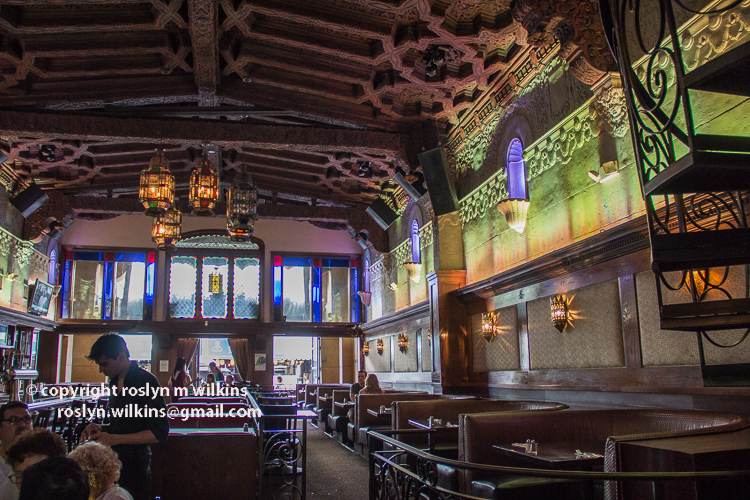 Categories: Buildings, California, Food, Historic Buildings, Hollywood, Landmarks, Los Angeles, Movie Stars, Movies, Neighborhoods, Photography, Restaurants, Southern California, Tourist Attractions | Tags: British Pub, carved wood ceiling, Colin Firth, Historic Landmark, Hollywood Boulevard, light fixtures, Pig 'n Whistle, tour guides, Walk of Fame | Permalink. 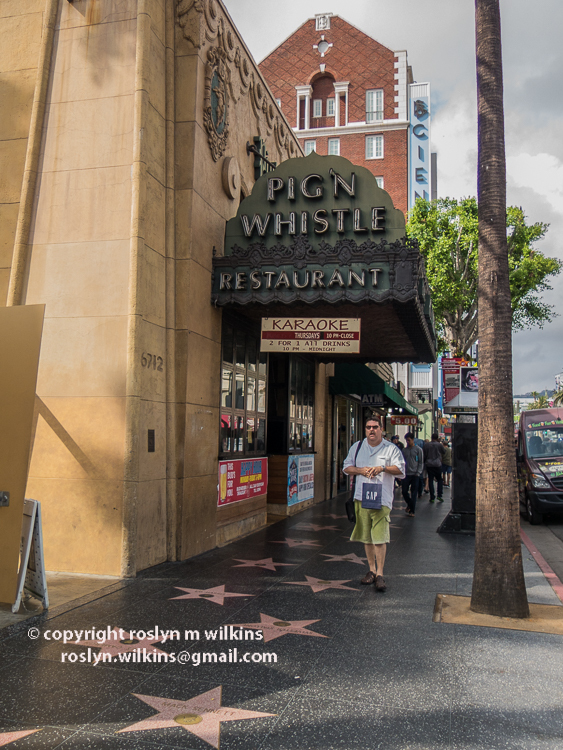 This past Sunday some of my fellow tour guides and I met at the Pig ‘n Whistle on Hollywood Boulevard for lunch (see blog post here). 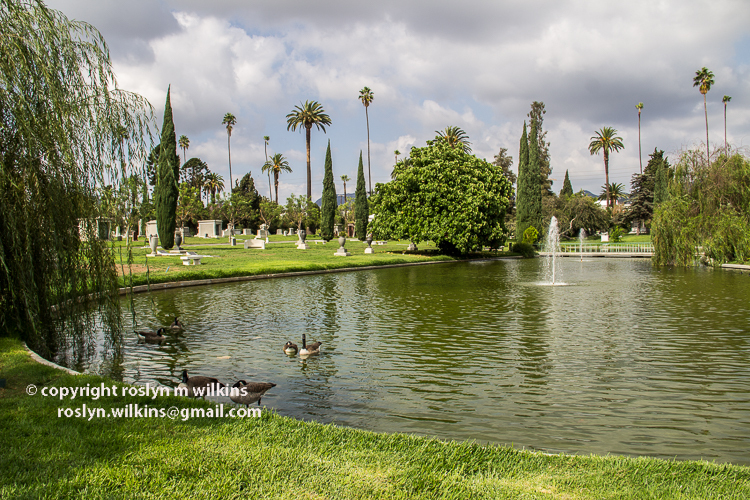 We then carpooled over to Hollywood Forever Cemetery. 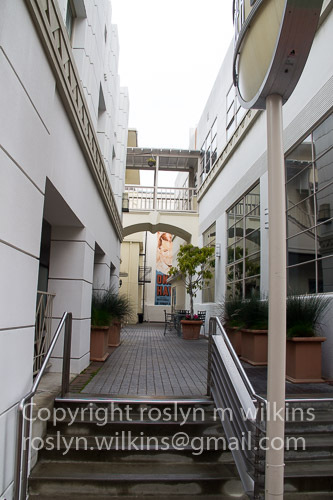 The photo above is looking north to the entrance on Santa Monica Boulevard. If you squint, just to the right of the left hand palm tree you can see the Hollywood Sign stretched across the mountain in the distance. 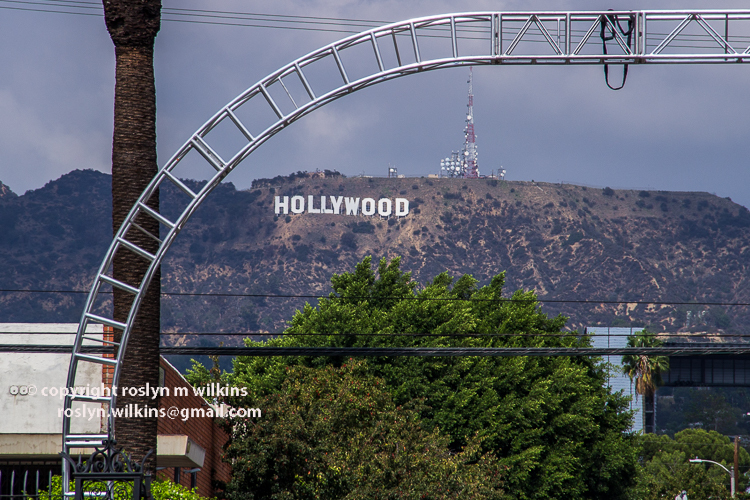 A closeup view of the Hollywood Sign. Our group beginning the tour. It was a warm, muggy day. The weird weather continues. 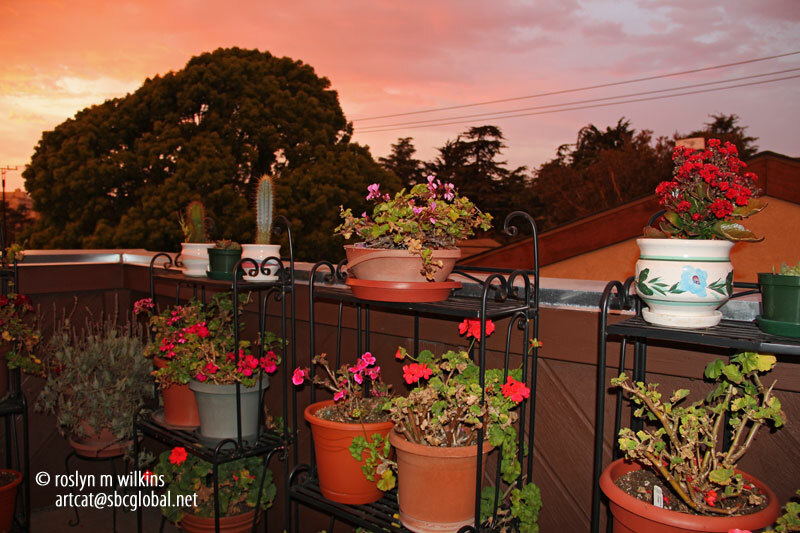 There has been rain in parts of our vast city but not in my neighborhood. The skies have been overcast which has cooled the temperatures a little but locks in the humidity. 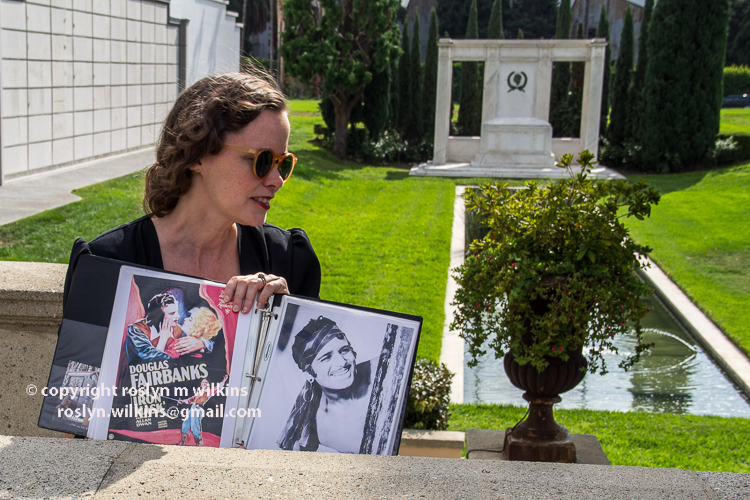 From the website: Hollywood Forever is a cemetery unlike any other in the world. 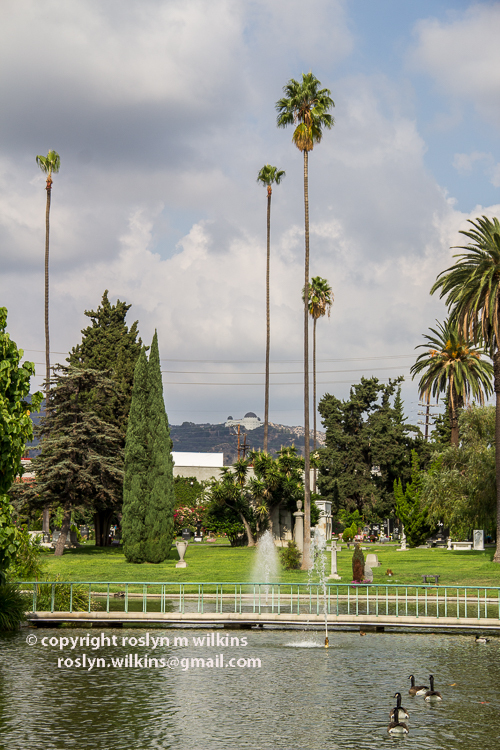 One of the world’s most fascinating landmarks, Hollywood Forever Cemetery is the final resting place to more of Hollywood’s founders and stars than anywhere else on earth. 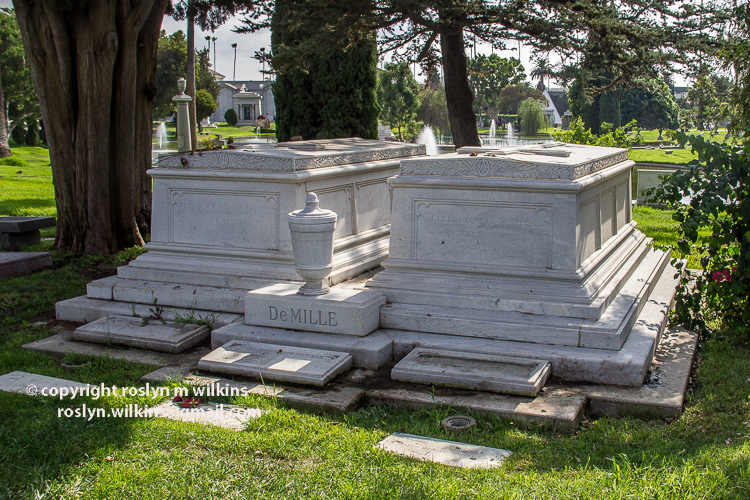 Founded in 1899, the cemetery was an integral part of the growth of early Hollywood. 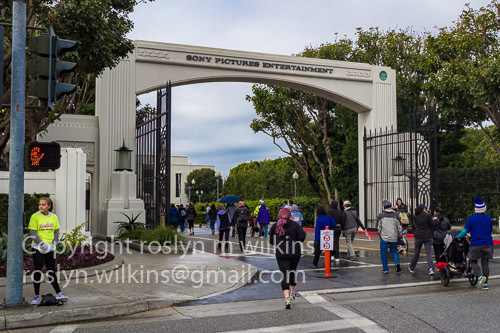 Paramount Studios was built on the back half of the original Hollywood Cemetery, where the studio is still in operation today. 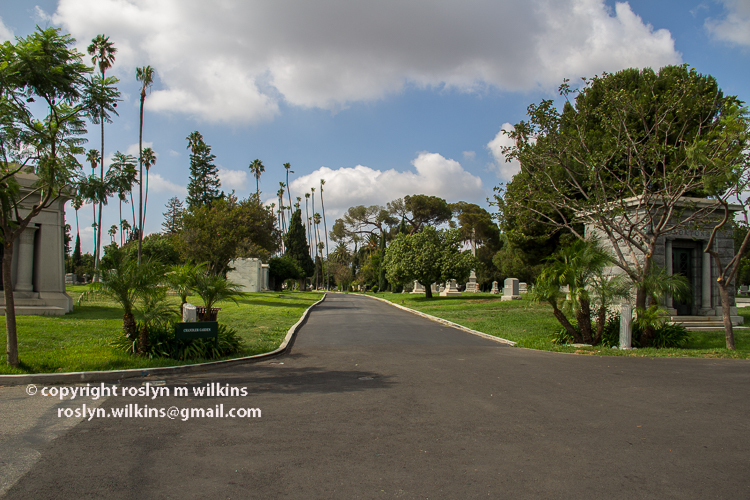 The cemetery of choice for most of the founders of Hollywood’s great studios, as well as writers, directors, and, performers, Hollywood Forever Cemetery is now listed on the National Register of Historic Sites. 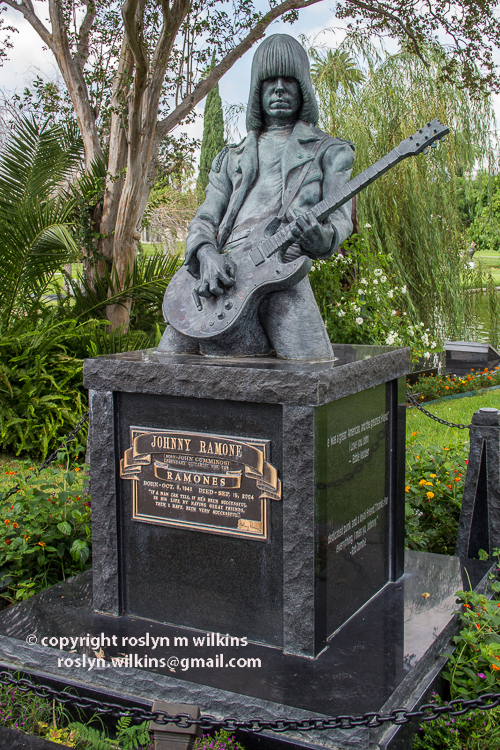 Visitors come from all over the world to pay respects to Johnny Ramone, Cecil B. DeMille, Jayne Mansfield, Rudolph Valentino, Douglas Fairbanks, and hundreds more of Hollywood’s greatest stars. I love walking around cemeteries and I’ve wanted to visit this one for years. 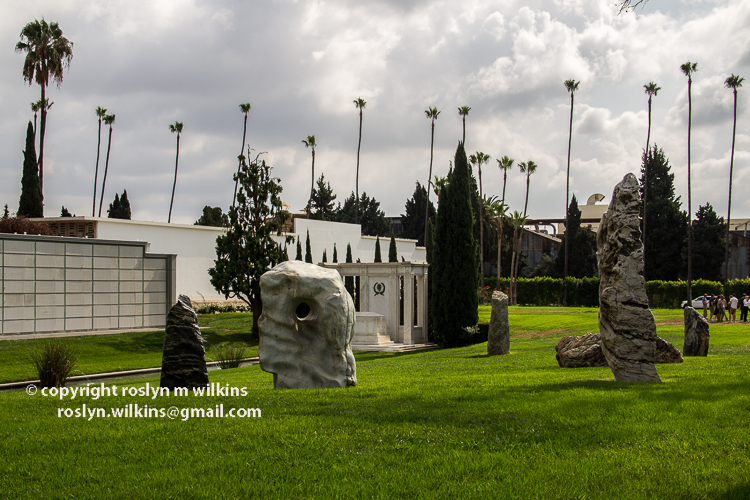 What sets Hollywood Forever apart from many others is that any kind of tombstone seems to go. 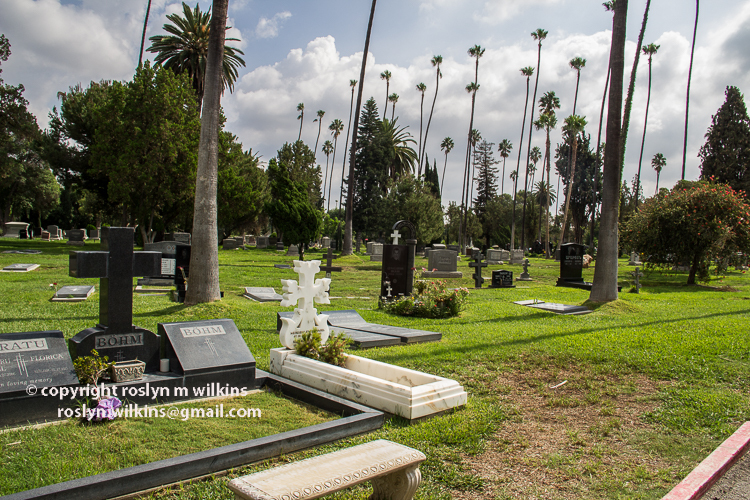 Other cemeteries around Los Angeles are much more strict with the kind of grave marker you can have. So this is a creative mishmash. Of course that makes mowing the lawn a lot harder which may account for the unruliness of the grass. 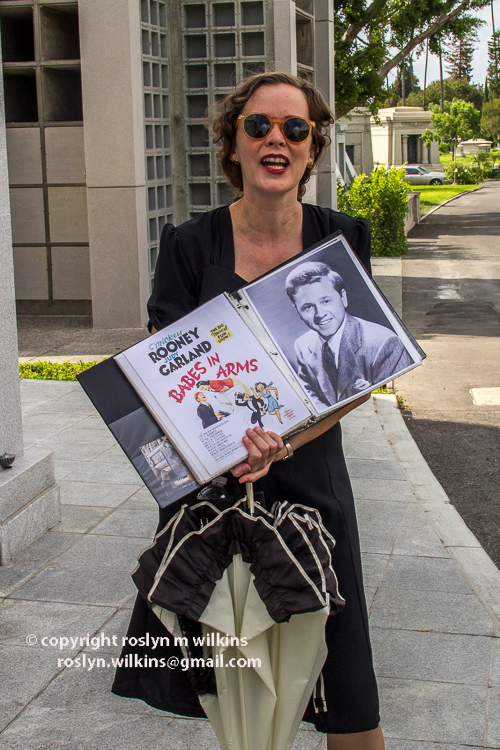 Karie Bible was our cemetery tour guide. 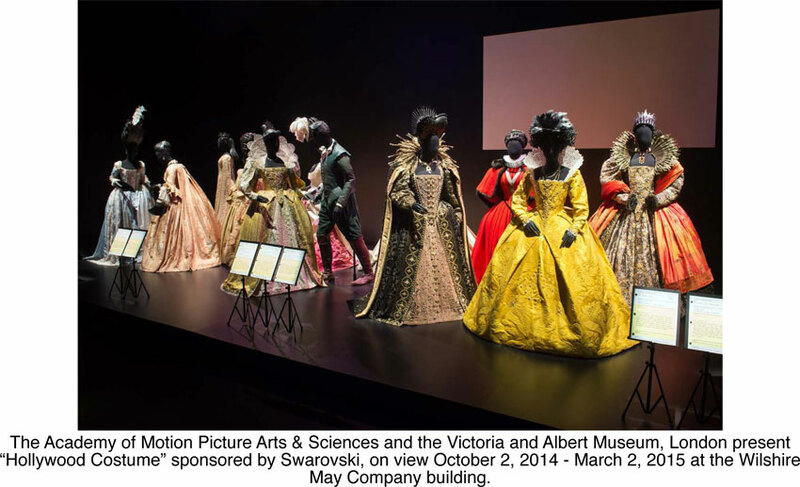 The tour website mentions that she gives the tour in vintage gowns from her collection that spans the 1920s through the 1950s. 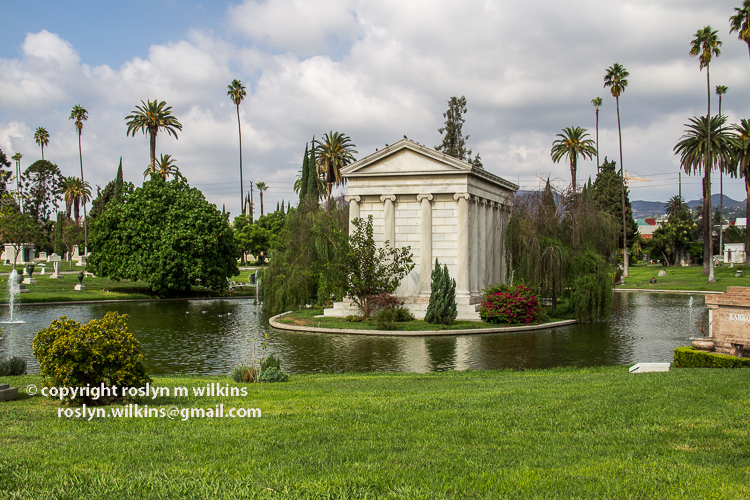 The Grecian tomb seeming to float in the lake belongs to William C. Clark, founder of the Los Angeles Philharmonic. 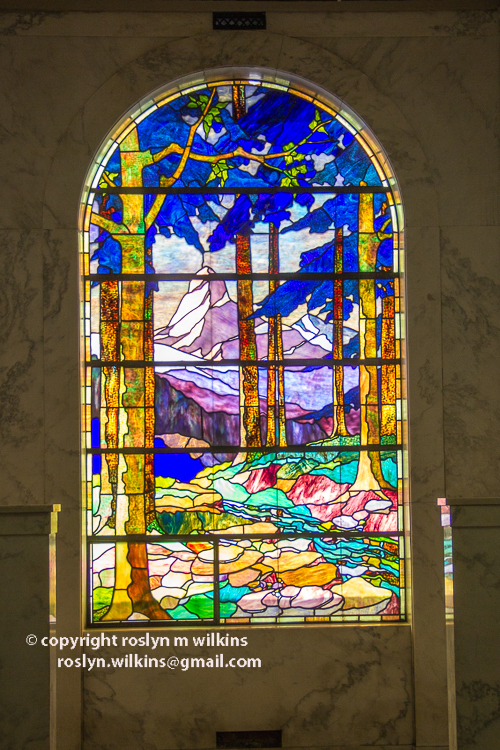 Karie told us it was not open to the public because the interior is filled with exquisite mosaics. If you know me, you know how much I love mosaics so I was salivating at the thought. I’ll have to do some more research on this subject. We entered the Mausoleum. 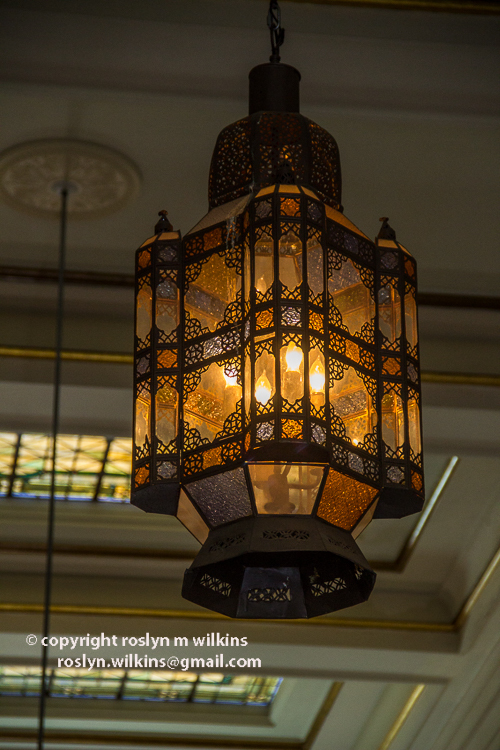 I was immediately attracted to these beautiful light fixtures. I am so predictable! 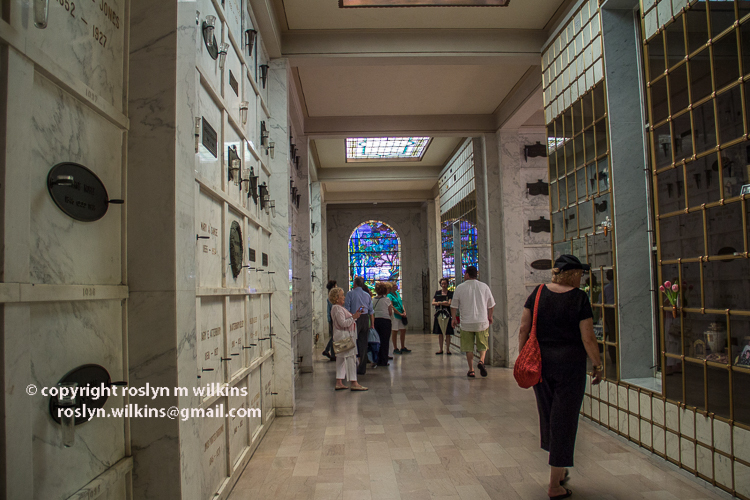 A friend told me recently that she and her husband had purchased niches in the mausoleum for the final resting place of their ashes. I couldn’t quite grasp what she was telling me but now I’ve seen the niches myself I understand. 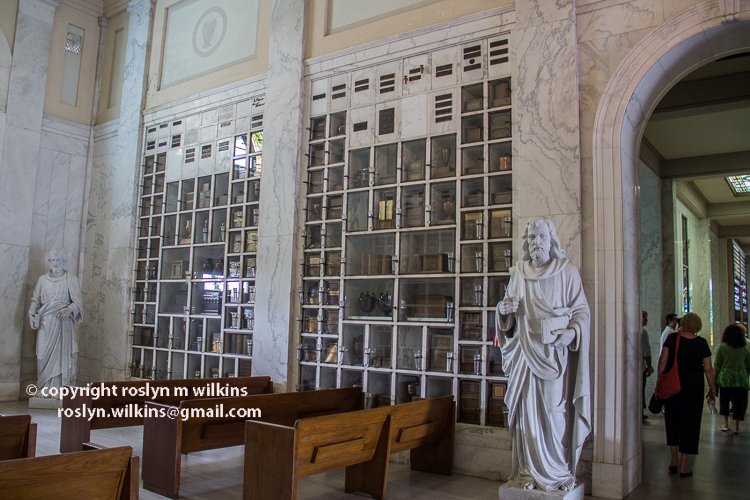 You can have your urn and other personal belongings placed in these niches behind glass doors. I like that idea. 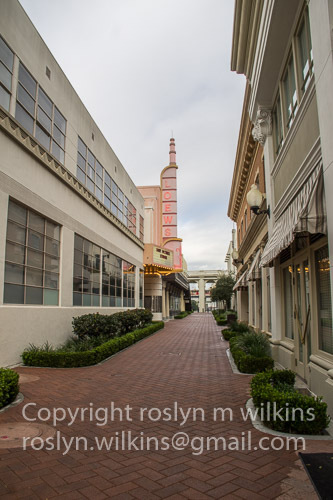 But I’ve decided to have my ashes strewn around one of my favorite areas for walking. I don’t want to be cooped up indoors for eternity… or under the ground for that matter. Okay, now for the serious stuff. 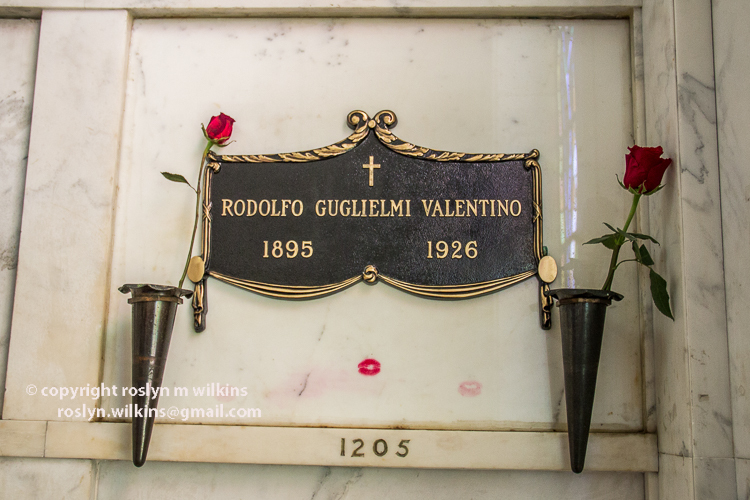 As you can see, people (women) still come to Rudolf Valentino’s grave in the Mausoleum to leave a kiss. I expected to see a much more elaborate grave than this. Valentino left his native Italy to seek his fortune in the US. Unfortunately, fortune didn’t smile for long and he died at the age of 31 of peritonitis. His birthname was Rodolfo Alfonzo Raffaello Pierre Filibert Guglielmi di Valentina d’Antonguolla… a little too much for the grave marker. Peter Lorre was born László Loewenstein in Austria-Hungary. Our guide mentioned that he was about to divorce his third wife but it didn’t happen in time to preclude her from being buried next to him. I can only hope they have since reconciled! 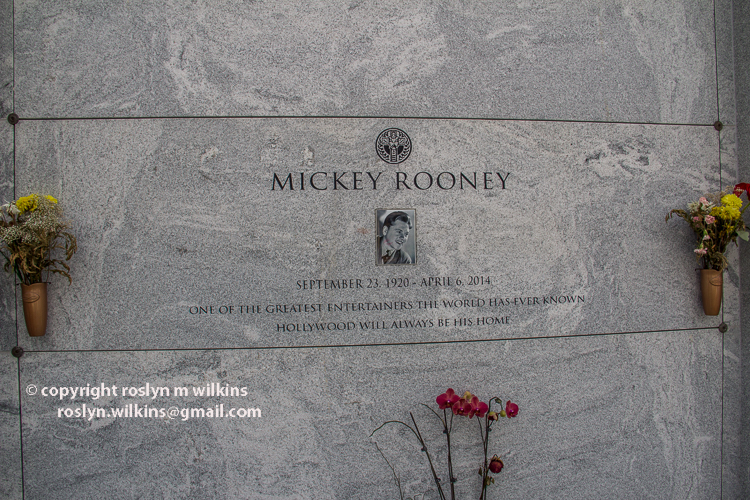 Mickey Rooney was 93 when he died in 2014. 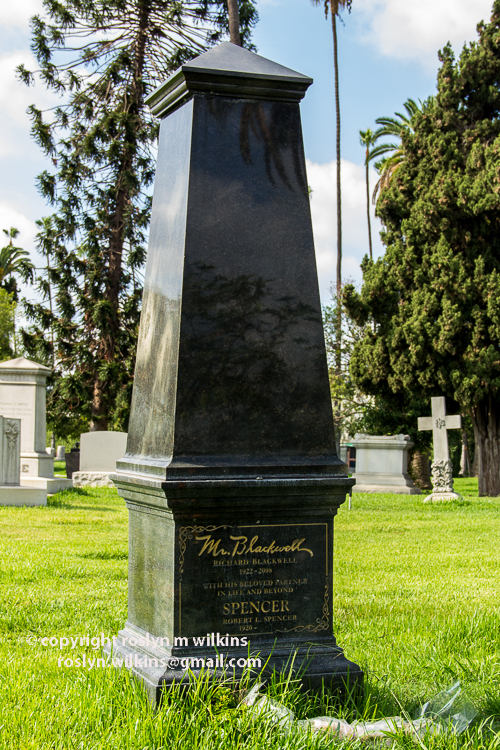 He rose to great heights in Hollywood but in stature only made it to 5 ft 2 inches (157 cm). 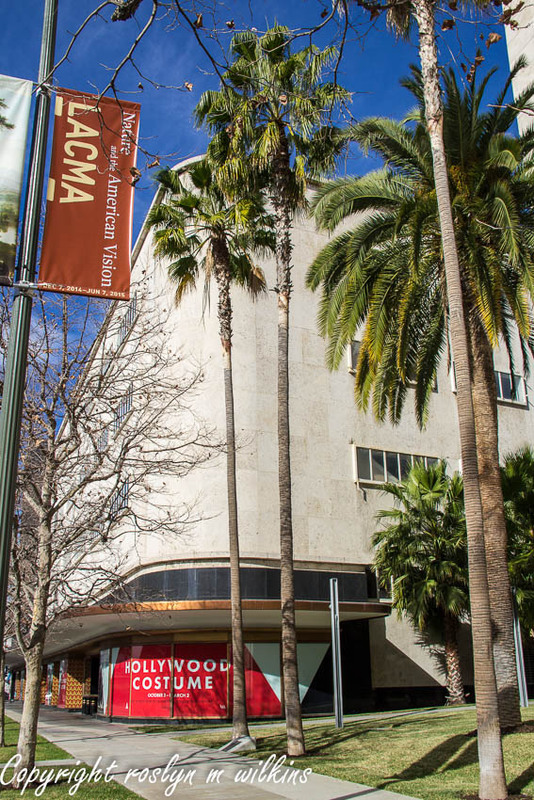 This is the view he gazes at for eternity… can you make out the Hollwood sign in the middle of the photo trying to peek through the branches? 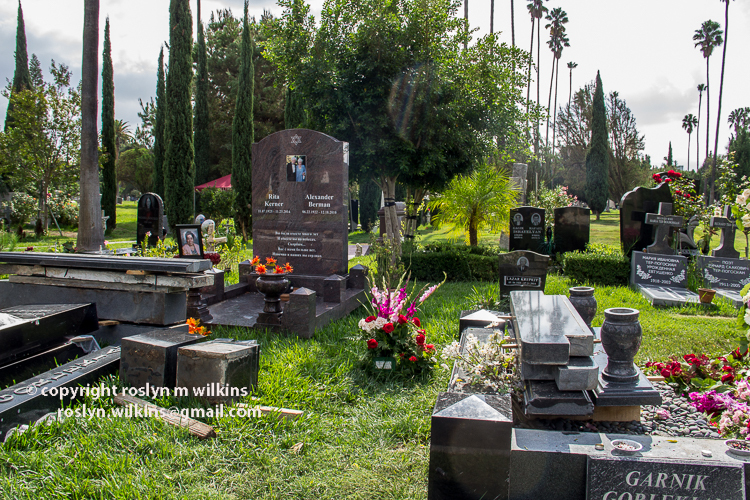 As his gravestone says, Hollywood will always be his home. 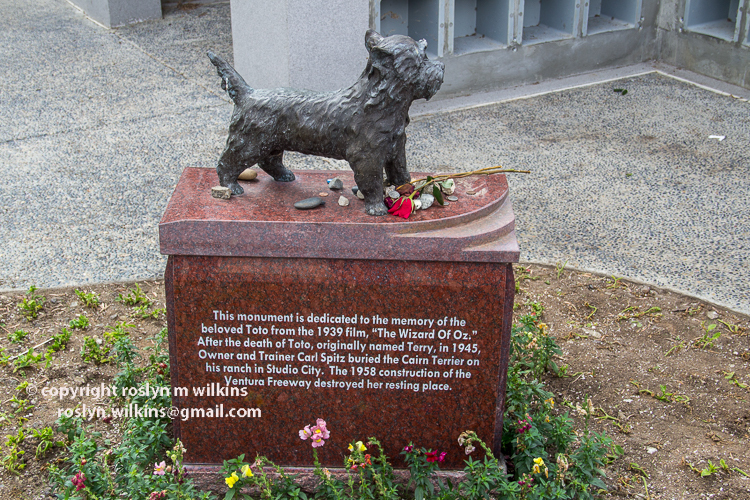 This is a memorial to Toto (Terry) from “The Wizard of Oz.” She is actually buried north of this location in Studio City. If you can read the inscription it tells the sad story that her resting place was destroyed by the construction of the Ventura Freeway in 1958. 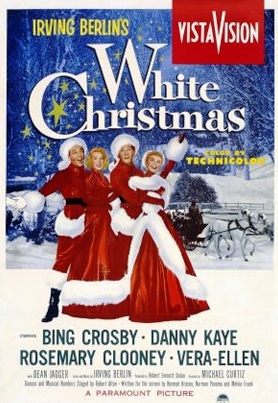 Terry had 16 total film appearances in her eleven years of life. 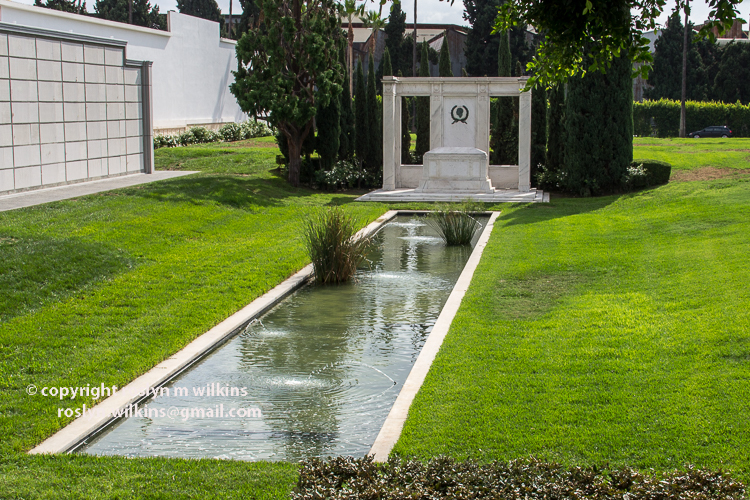 Douglas Fairbanks, otherwise known as the husband of Mary Pickford (although he had other wives before and after), has pretty nice accomodations for his final resting place. Passing in 1939 he was only 56. 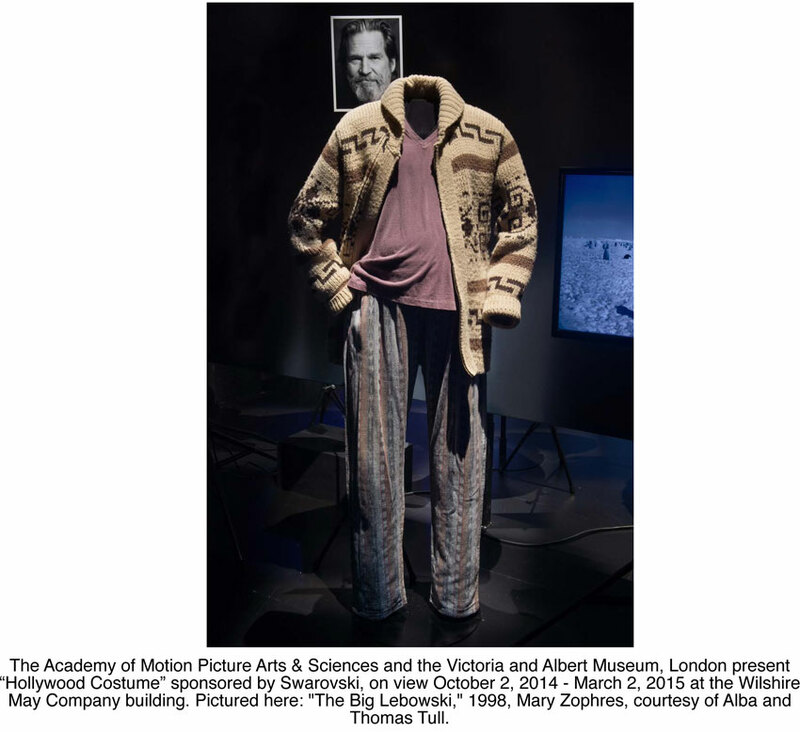 He was one of the founders of United Artists. Another memorial is for Hattie McDaniel, famous for “Gone With the Wind” and the first African American to win an Academy Award. A very accomplished lady, she was also a professional singer-songwriter, comedian, stage actress, radio performer and television star. She passed in 1952. In the middle of the photo at the top of the mountain is the Griffith Observatory. I think this may be my favorite grave in the cemetery. I can’t say I was particularly a fan of the Ramones but I love the way Johnny Ramone is shown as he was in life. He will be forever playing his guitar. It doesn’t get much better than that! He died from prostate cancer at the age of 55. 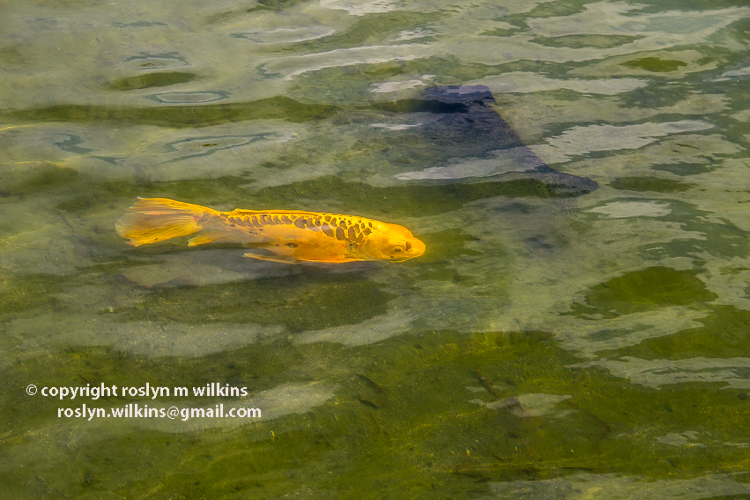 The koi were enjoying themselves. According to our tour guide, Elvira, Mistress of the Dark, modeled herself after Vampira but never paid tribute to her. 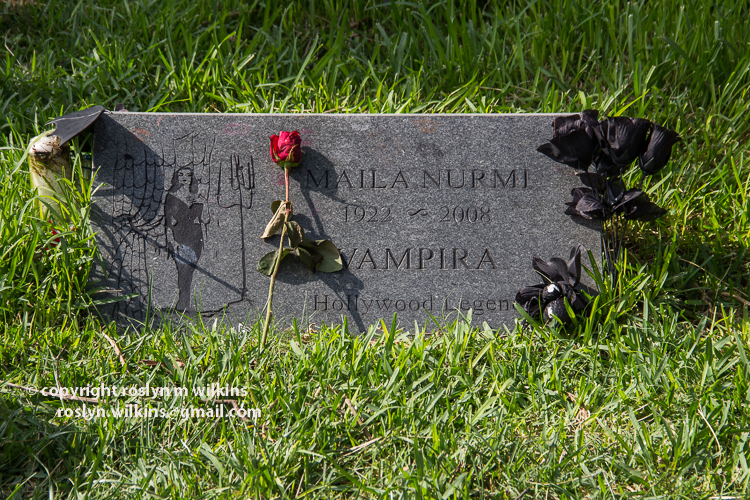 Vampira died pretty much penniless and I read that at one time she even sold linoleum. Mr. Blackwell, probably still criticizing, er, critiquing the fashions of the angels. 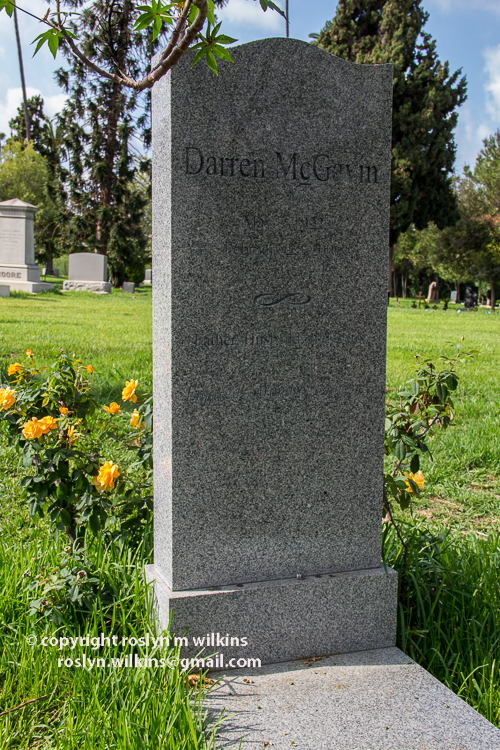 Darren McGavin, one of my favorite actors because of his TV show Kolchak: The Night Stalker. One of my fellow tour guides noted that he had grown up with this show, acting out like he was the star, and it had a great influence on him. Not many people have even heard of that show, so it was great to meet a fellow fan. 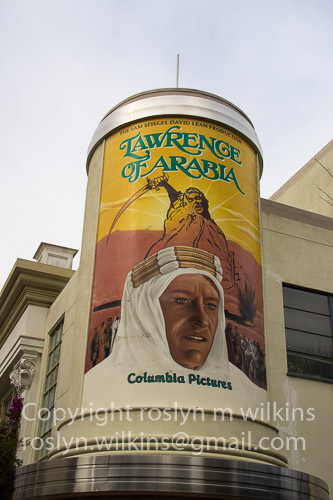 Cecil B. DeMille is credited with being one of the founding fathers of the Hollywood movie industry. 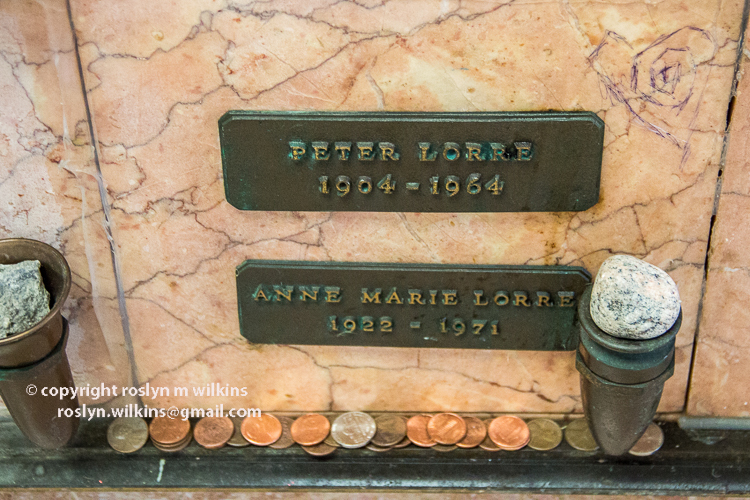 Much of his family is also buried around him. 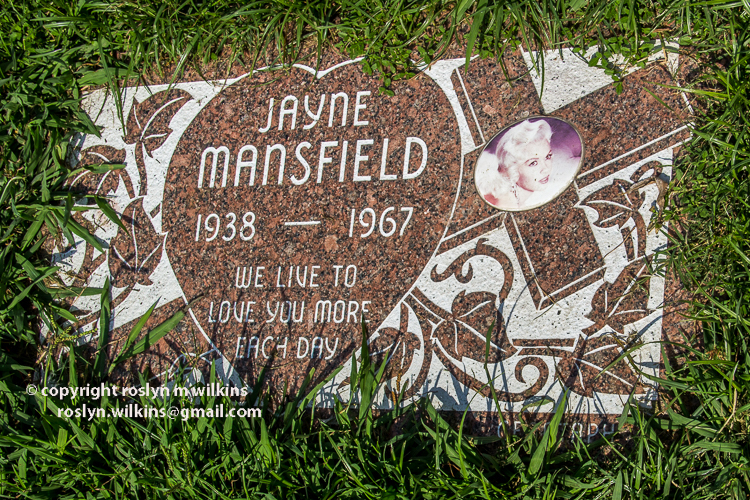 I was surprised to discover that Jayne Mansfield was only 34 when she died in a car crash. Don’t get your calculators in a twist, she was actually born in 1933…. 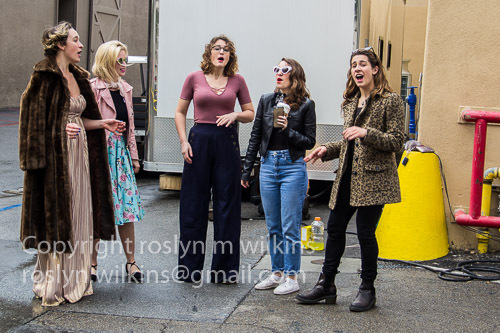 Hollywood magic at work. I think most people know her daughter is Mariska Hargitay known for the Law and Order franchise. 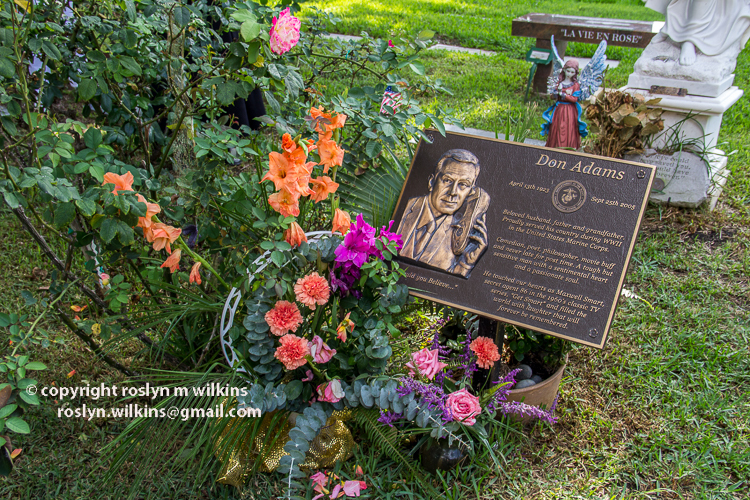 Don Adams. This is so cool that he is depicted as his best known role of Maxwell Smart talking on his shoe phone. This made me chuckle. 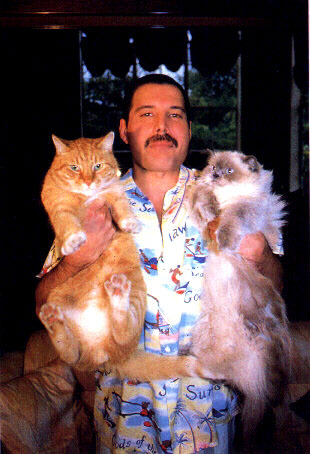 Hard to believe he passed away ten years ago. 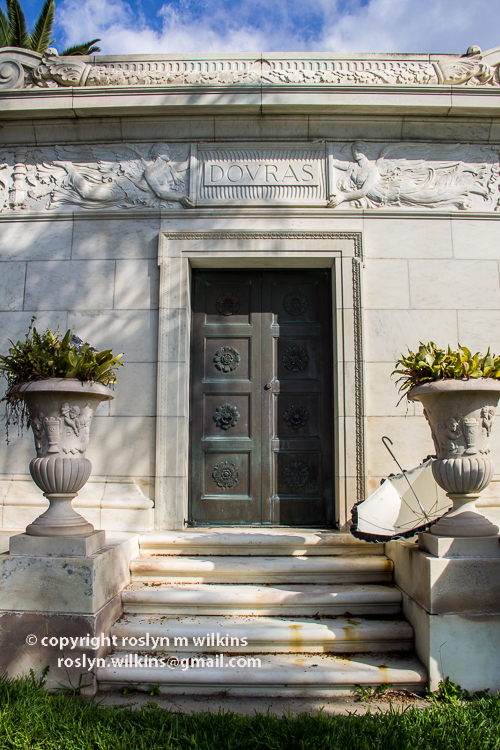 Marion Davies, actress and mistress of William Randolph Hearst, is buried within the Douras Mausoleum. 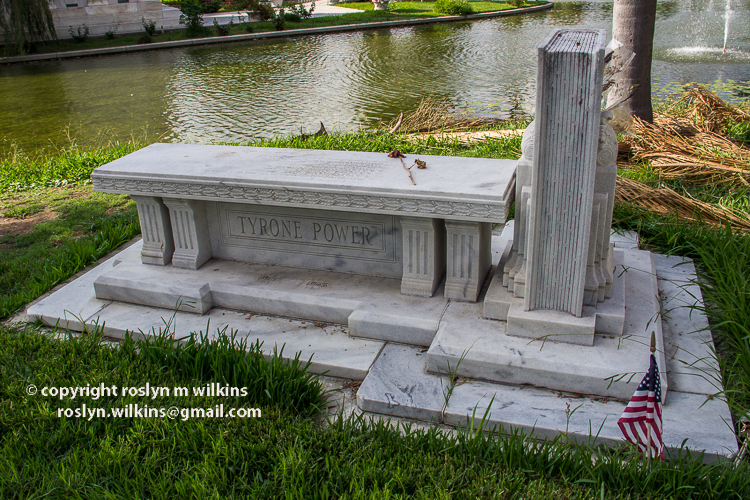 Tyrone Power has a nice lakeside spot. He died at the age of 44 of a massive heart attack while involved in a dueling scene for a movie he was making in Spain. His son, Tyrone Power IV, was born two months after his death. 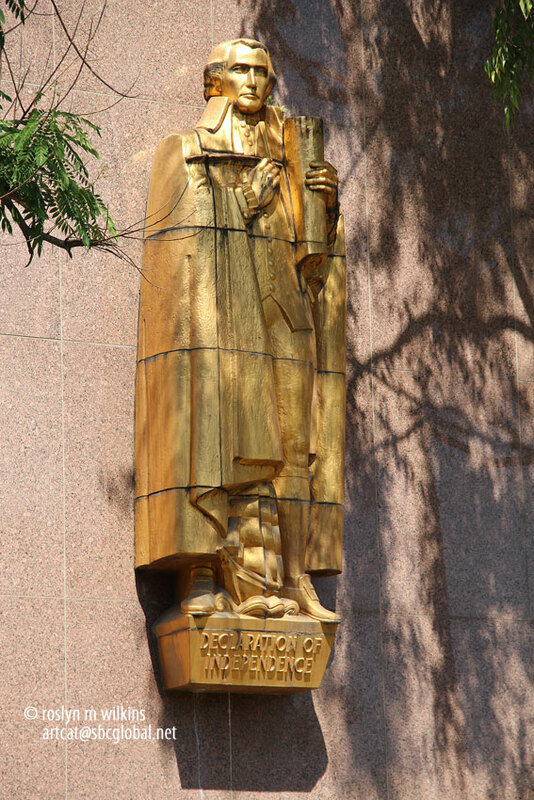 This obelisk commemorates Griffith J. Griffith. 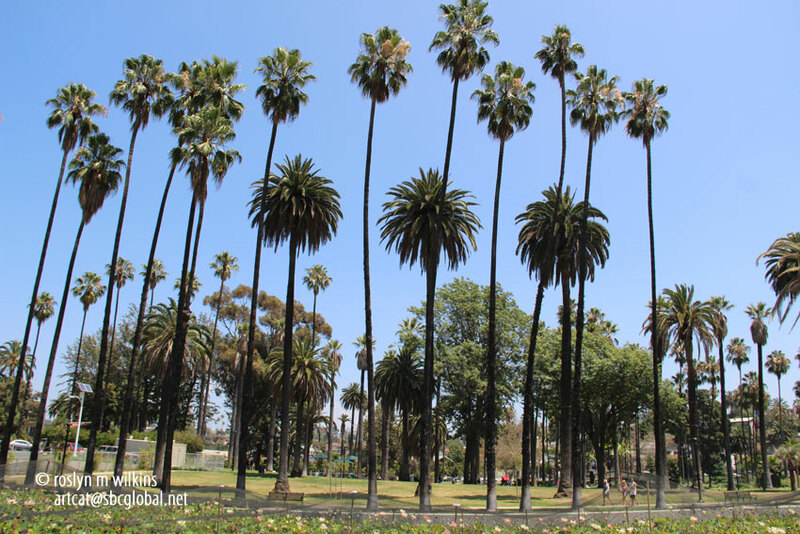 In 1896 he donated over 3,000 acres to the City of Los Angeles which subsequently became Griffith Park. 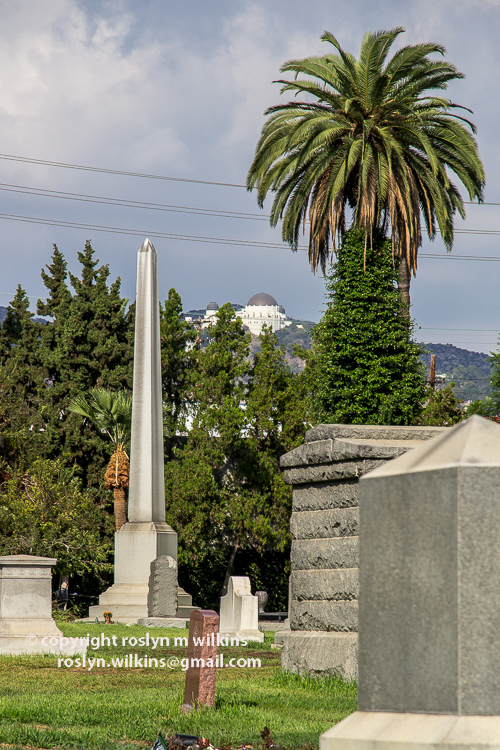 The Griffith Observatory (within Griffith Park) can be seen just to the right of his monument. Mr. Griffith has an interesting story that you can read here. 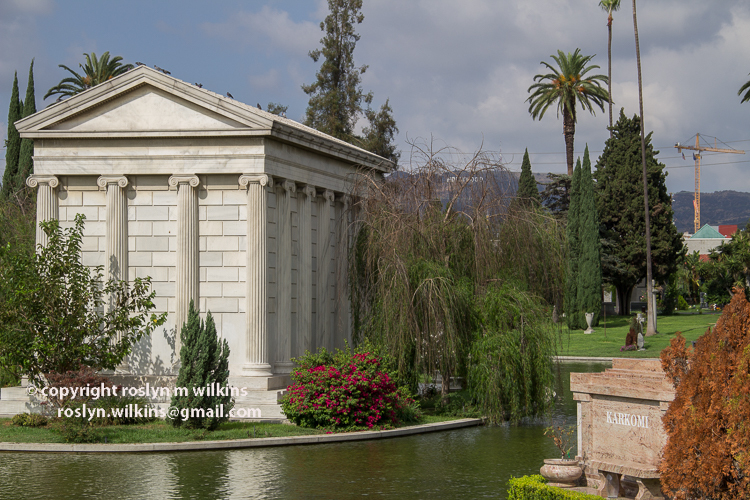 At Forever Hollywood you can practice whatever religion you choose in the afterlife, unlike some other cemeteries that are religion-specific (only Jewish or only Catholic, etc). 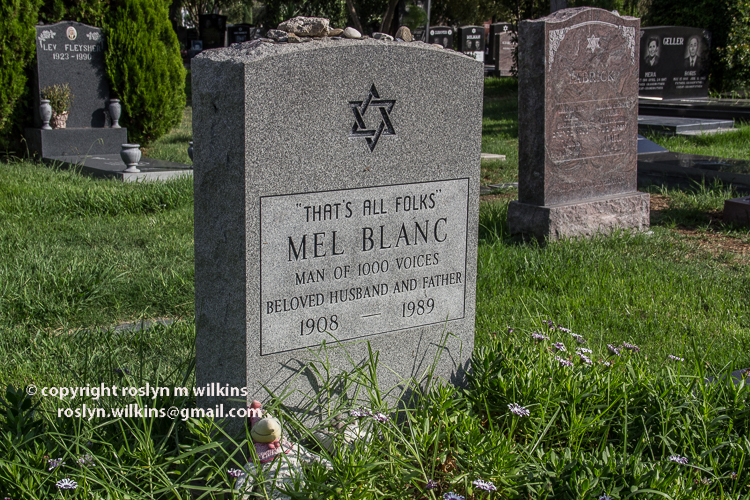 “The Man of a Thousand Voices,” some of Mel Blanc’s work was done in a full body cast while recovering from an auto accident. 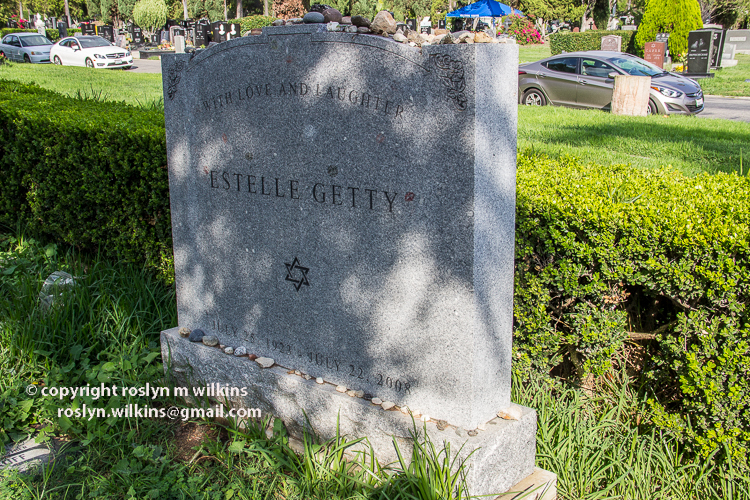 Estelle Getty, who played Bea Arthur’s mother in “The Golden Girls,” was really only a couple of years older than her. She won both an Emmy and Golden Globe award for that role. She passed away from Dementia with Lewy Bodies in 2008. 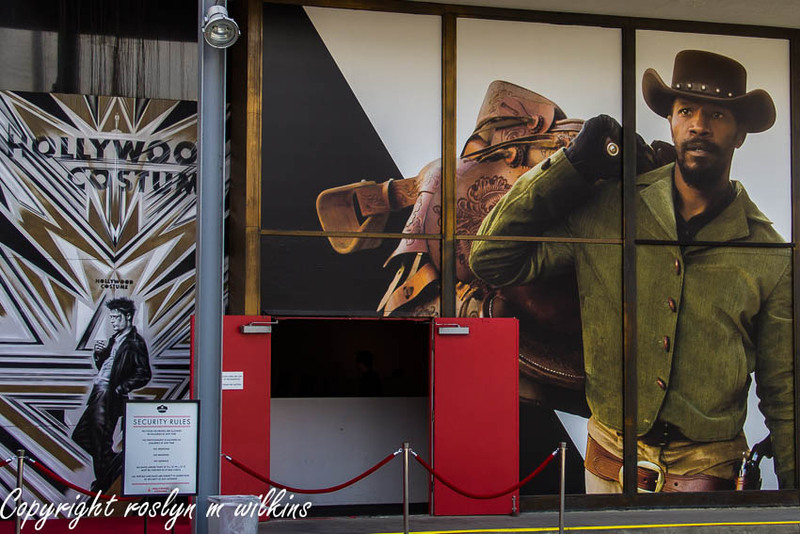 So I was very happy to finally get to visit Forever Hollywood. 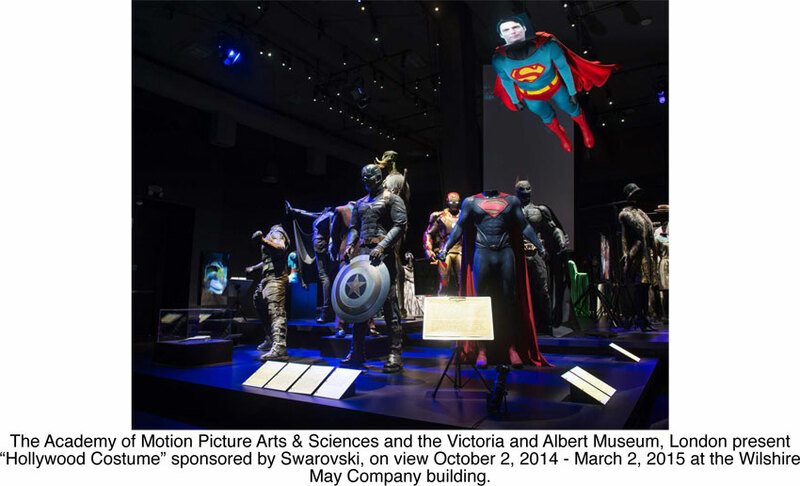 Most of the information for this post is a combination of what I remember from the tour and Wikipedia so don’t blame our lovely tour guide, Karie Bible, for anything I got wrong. But as always, I enjoyed doing the research for this post. 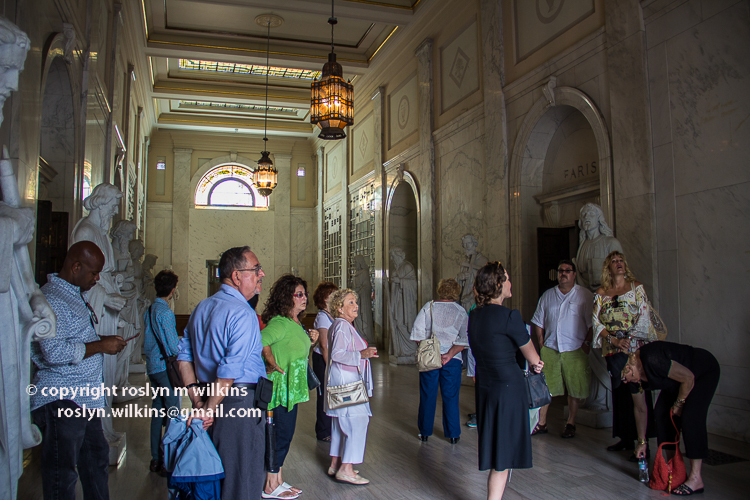 However, I highly recommend going on one of Ms. Bible’s tours as I learned a lot and her personality made the two-hour tour seem too short. 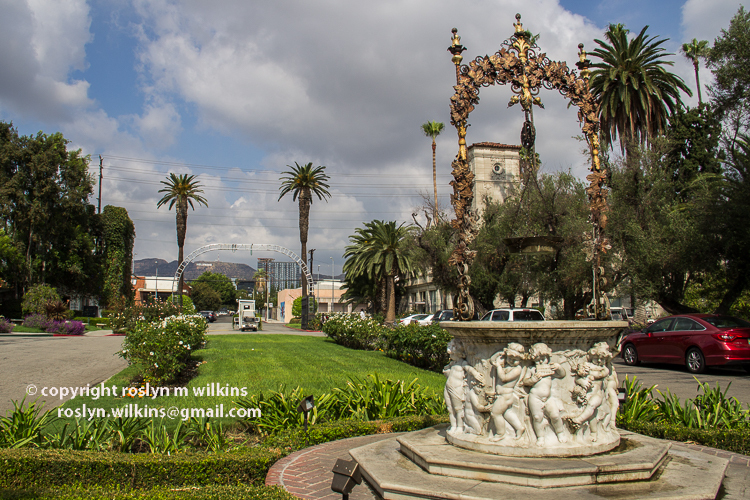 Categories: Cemeteries, History, Landmarks, Los Angeles, Movies, Neighborhoods, Outdoors, Photography, Sightseeing, Southern California, Tourist Attractions, Tours, Walks | Tags: actors, celebrities, Hollywood, Hollywood Forever Cemetery, movie stars | Permalink. 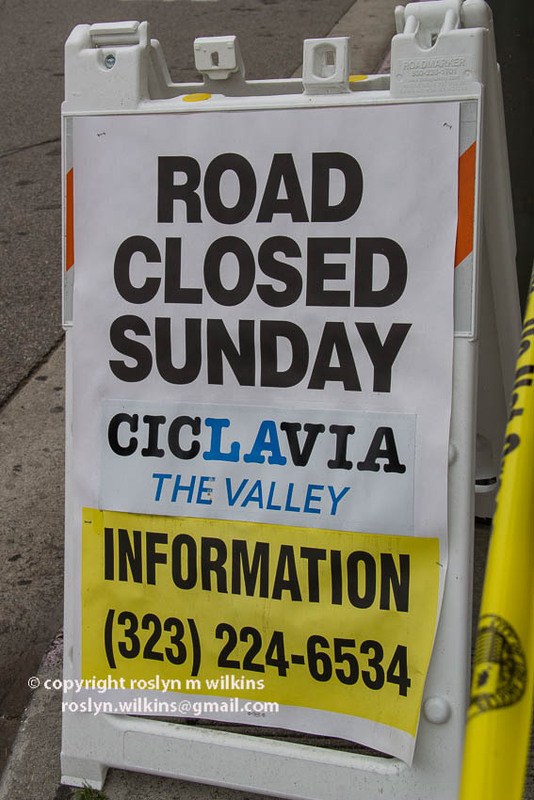 CicLAvia is a City of Los Angeles event where streets are closed to motorized vehicles allowing people to walk, bike and skate through the open streets that are usually clogged with traffic. 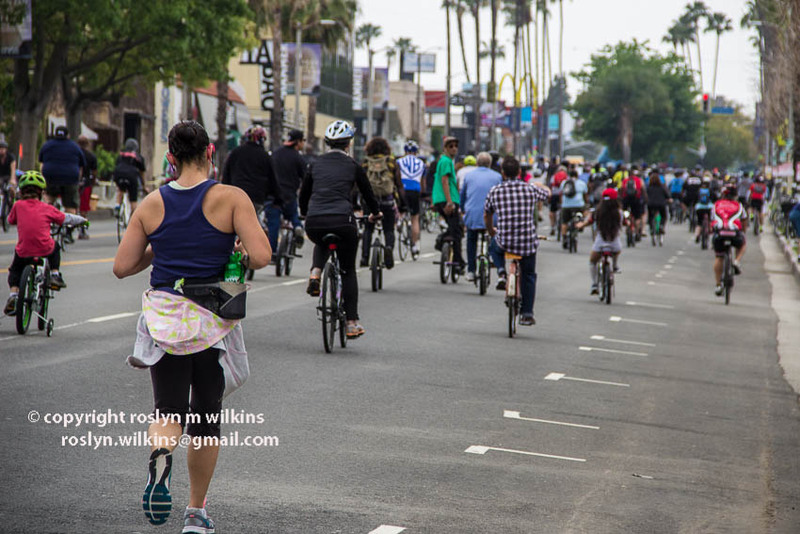 CicLavia is a nonprofit organization formed to promote the awareness of riding bicycles and taking public transportation instead of driving around in cars. 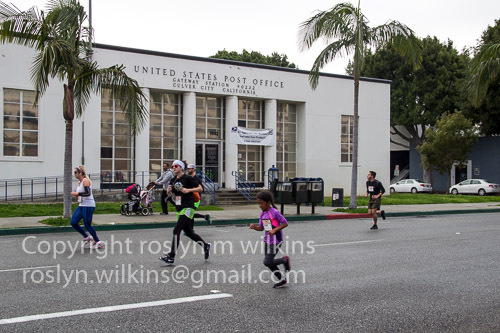 The first Valley event (as in the San Fernando Valley) was held yesterday and I decided to join some friends who were planning to walk the route. 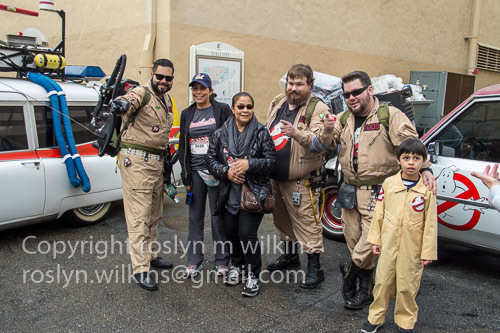 I took the Expo Line to the Red Line to meet up with everybody at Universal Studios Station which is the penultimate stop on the Red Line. 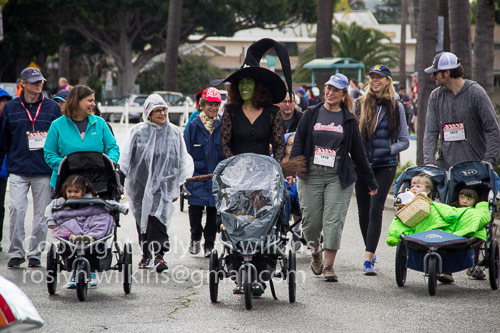 It was the perfect weather for walking or cycling as the temperature was in the low to mid 70s F (low to mid 20s C) and overcast. My kind of weather! The sun broke through early afternoon to brighten everything up but by then we were on the return leg so it worked out well. 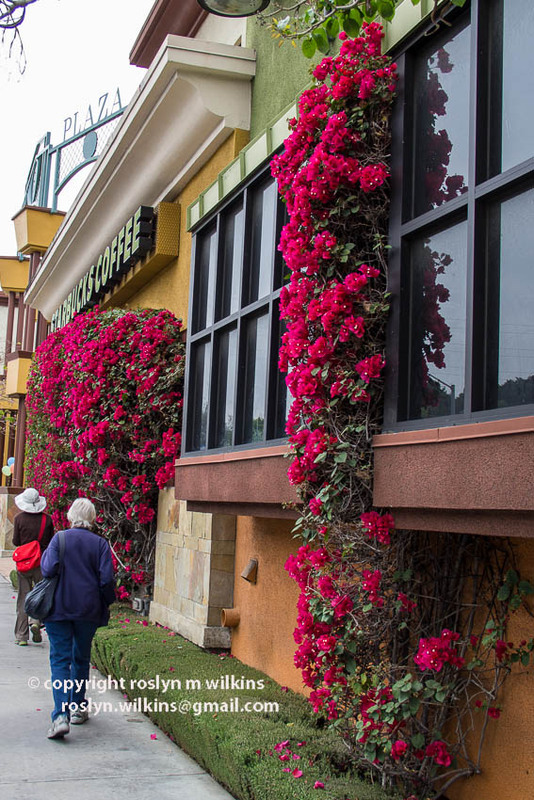 Some nice bougainvillea along the way. 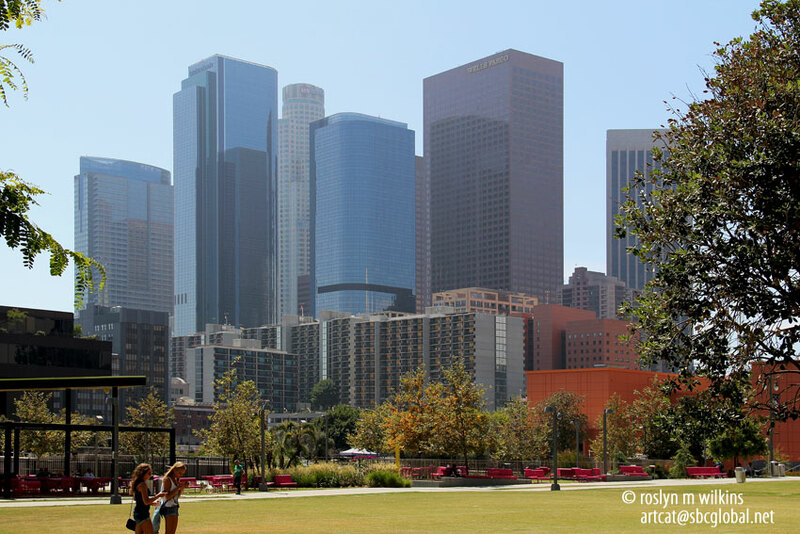 The City of Los Angeles is divided into two major land masses cut in two by the Santa Monica Mountains. South of the mountains is the LA Basin. 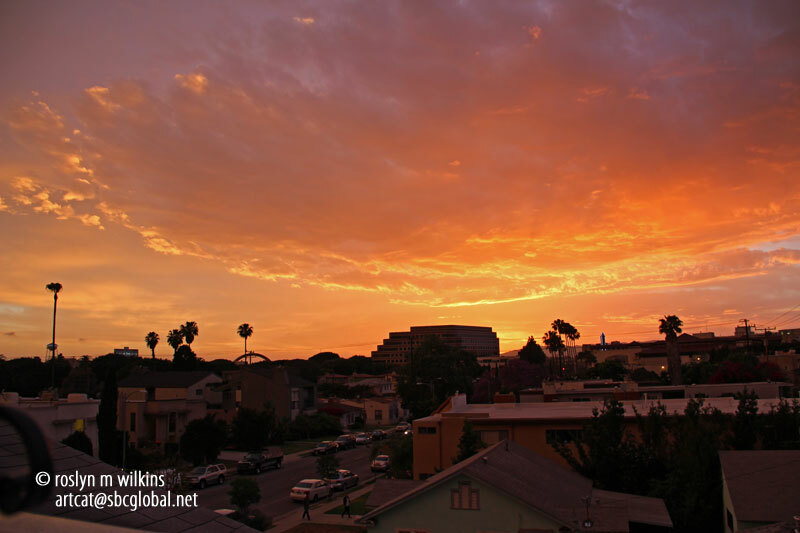 North of the mountains lies the San Fernando Valley. So the Red Line train travels under the mountains from the Hollywood and Highland Station to arrive at Universal Studios in North Hollywood. Once I transferred to the Red Line it was obvious I was going in the right direction. The station platform was jammed with people and their bicycles all squeezing on to a train that was already jammed with people and their bicycles! 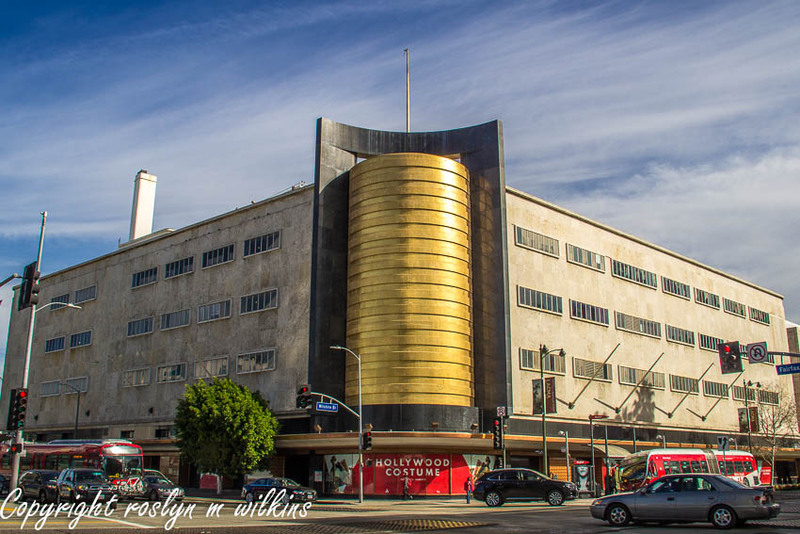 As I had not eaten breakfast I decided to get off at Hollywood & Highland to grab a bagel. That set off a chain reaction of people having to move their bikes along the car to let me out! 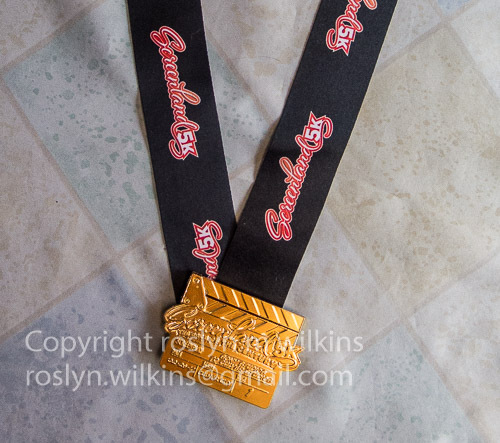 I don’t have any really stunning photos from yesterday. 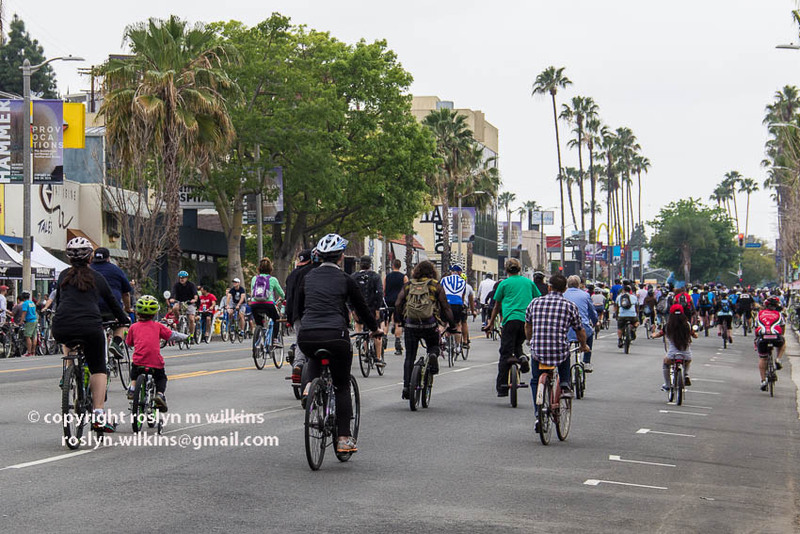 But it was cool to see so many bikes in place of cars on a major thoroughfare like Ventura Boulevard. 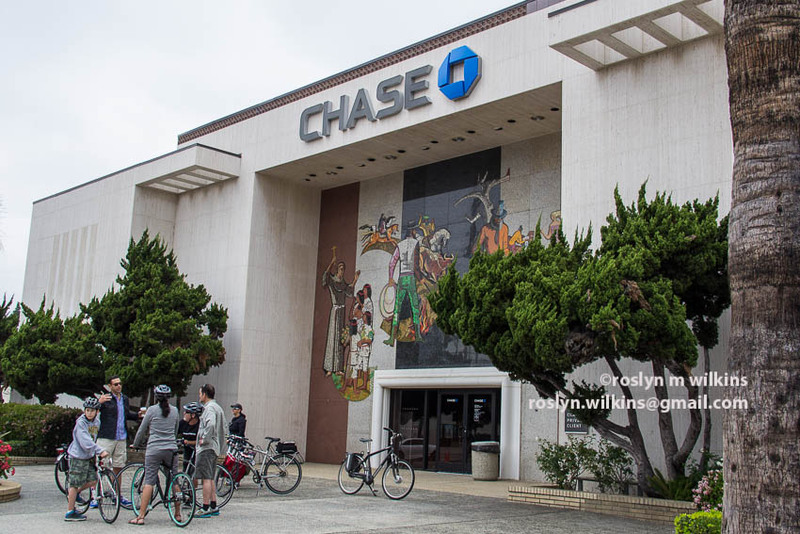 Above is a photo of Chase Bank that was formerly a Home Savings. 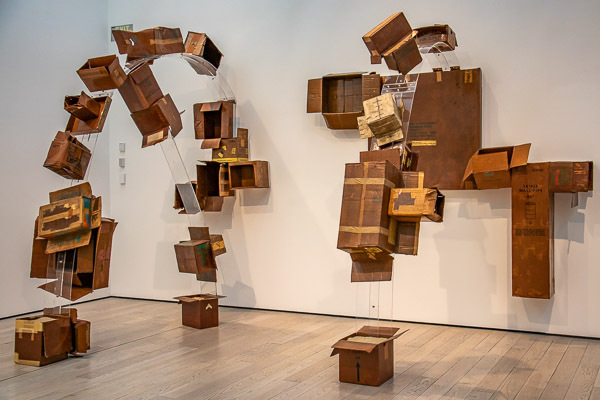 Millard Sheets is well known in Southern California as an artist and designer who designed a multitude of buildings for Home Savings. This is one of his many beautiful mosaics at the entrance. 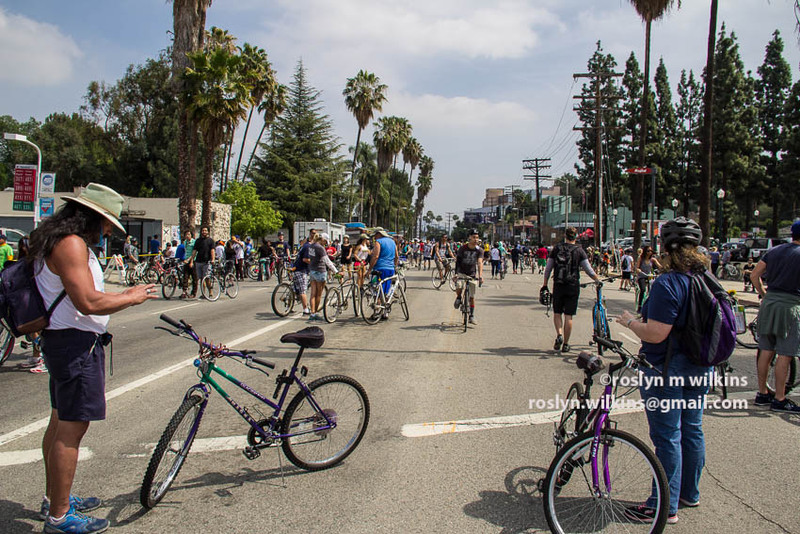 CicLAvia has been going since 2010, planned as an annual event but as the first one turned out to be so popular, in 2011 and 2012 there were two each year. 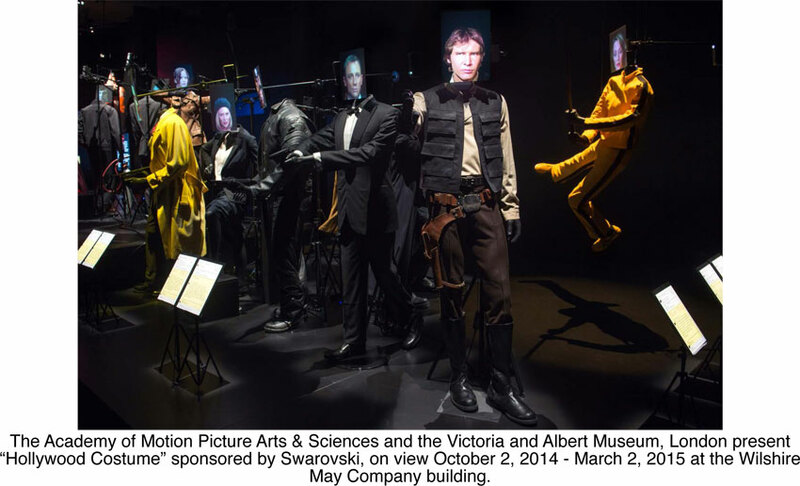 In 2013 and 2014 there were three. And this year there will be four events. 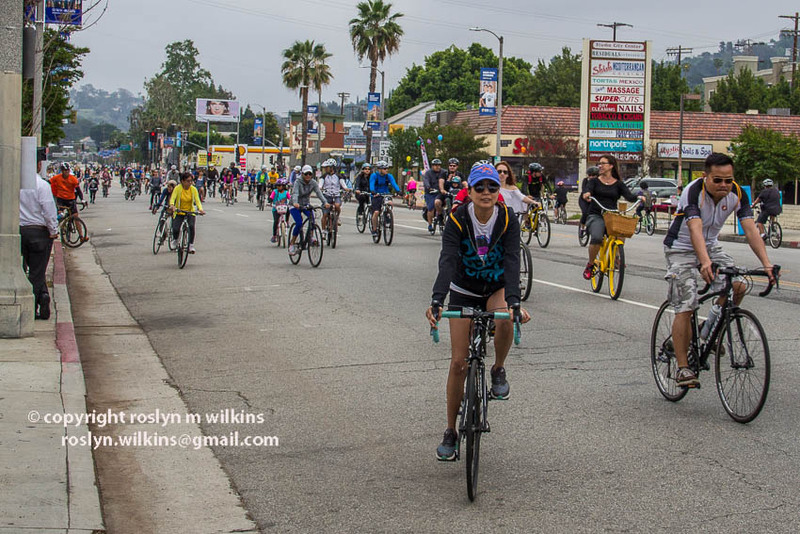 The turnout for the Valley CicLAvia was estimated between 50,000 to 75,000 people. From what I understand, some of these events have attracted up to 100,000 participants. It would be fun to know how many Valley-ites actually took part as opposed to the number of people coming in from other areas. But not everybody wants to trek all the way out there! This was the turnaround point. We had walked about 3.5 miles by now. But don’t worry, we had stopped a couple of blocks earlier to refuel at Jerry’s Deli. I ordered a mushroom omelette and was ready for the walk back. 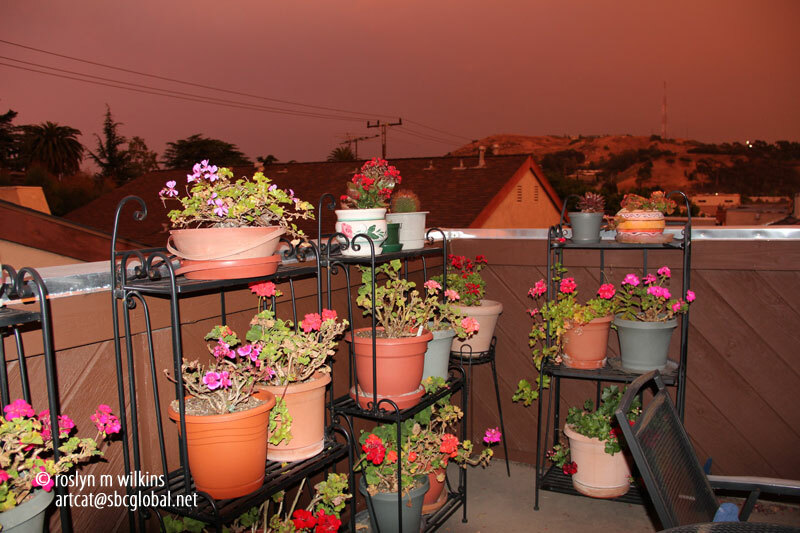 Maybe you can tell from the photo that the sun was starting to peak through. 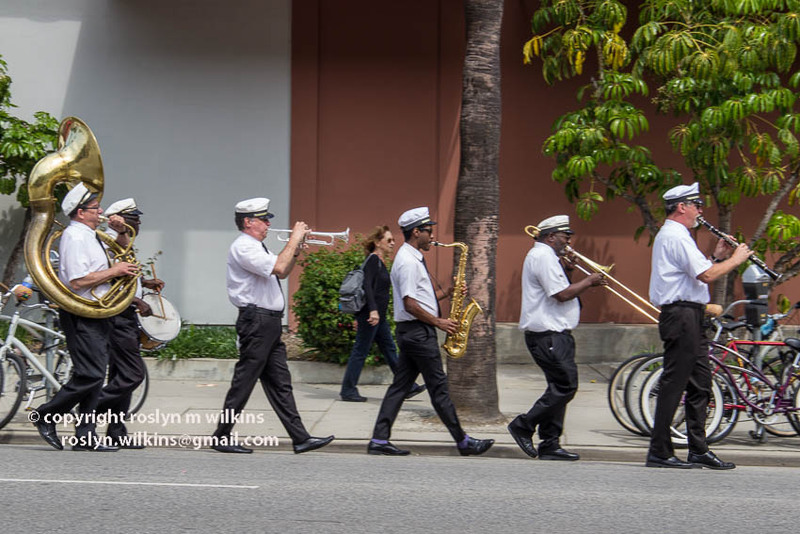 We were entertained by this marching band. 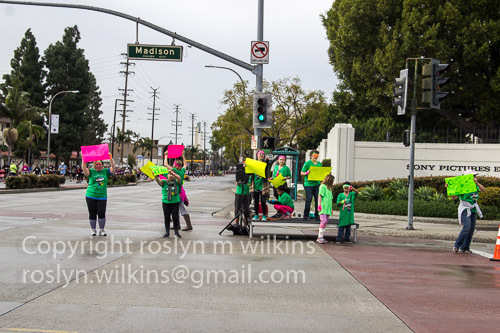 Many of the cyclists were giving them the thumbs up in appreciation as they rode by. 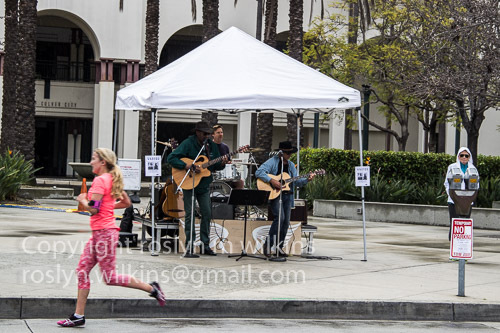 The route included Studio City, Universal City and North Hollywood. 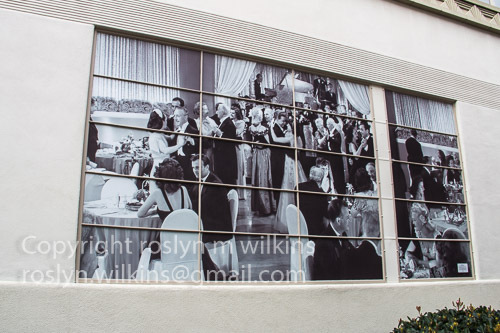 As we walked through Studio City I noticed the sidewalk was imbedded with plaques to commemorate the “B” movies made by Republic Pictures that had been located in that neighborhood, and also some TV shows filmed at the Studio City branch of CBS. 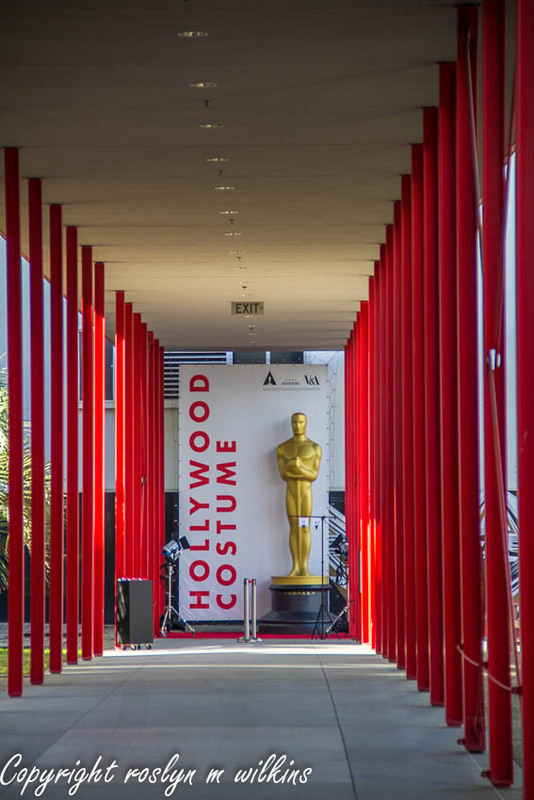 People coming from out of state always think of the LA district of “Hollywood” as being that magical place from where all movies and TV shows originate… but that could not be further from the truth as the studios and movie industry are spread out all over the Los Angeles area. By the time we had turned around and reached our starting point we had walked seven miles. It was good to be back on the train and sitting down. I don’t have much reason to spend time in the Valley so it was nice to be out there walking around on the other side of the Santa Monica Mountains! 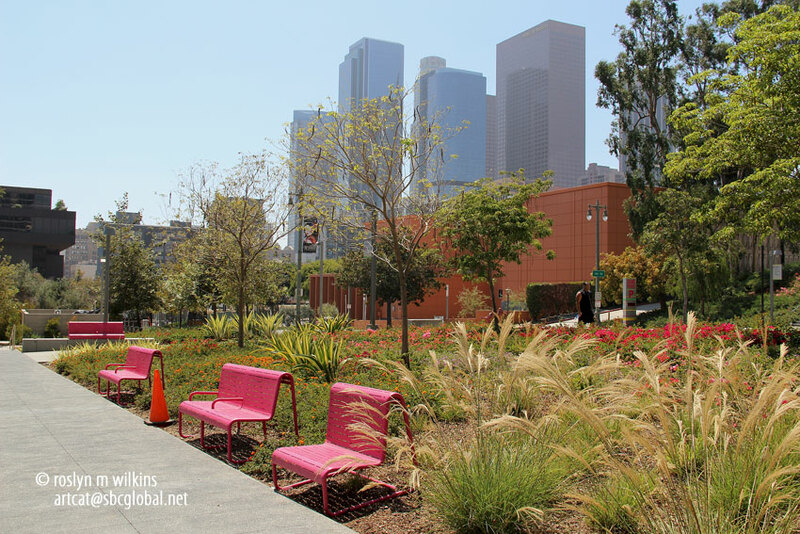 As LA is so vast one of the aims of CicLAvia is to get people out of their own neighborhoods to visit other parts of town. 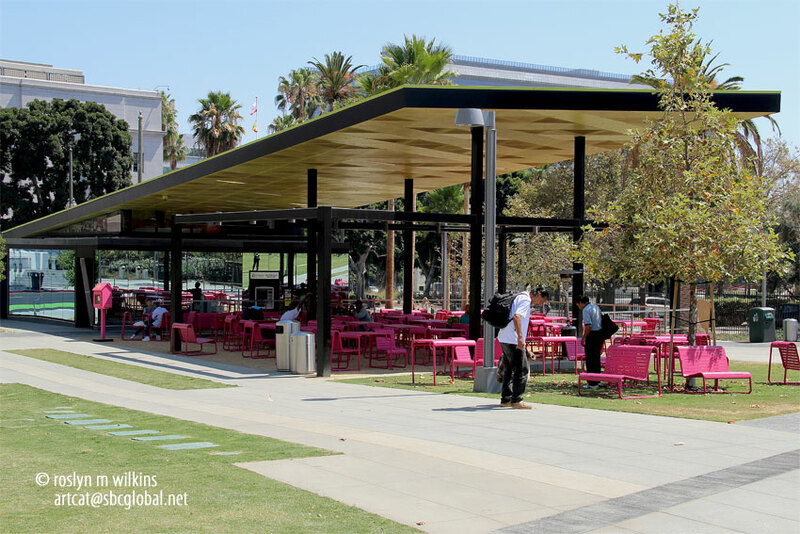 I just found out that one of the 2015 CicLAvias will have its starting point in Culver City…. I am assuming at the Culver City Expo Line Station. 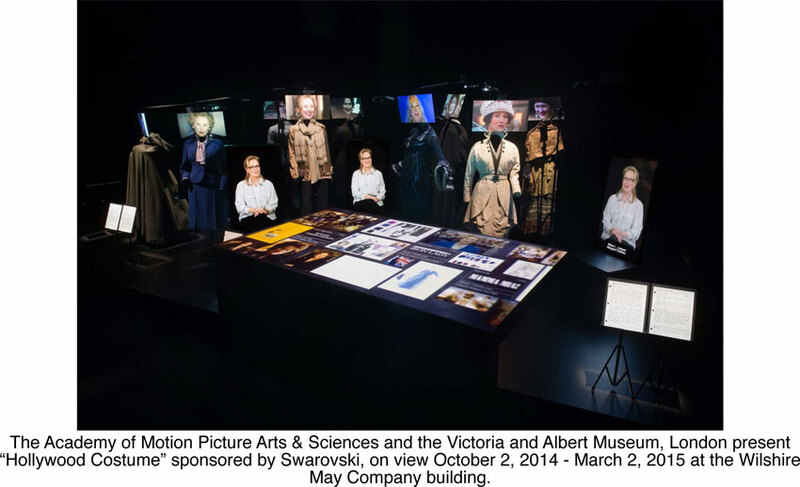 The end point will be at the ocean in Venice. 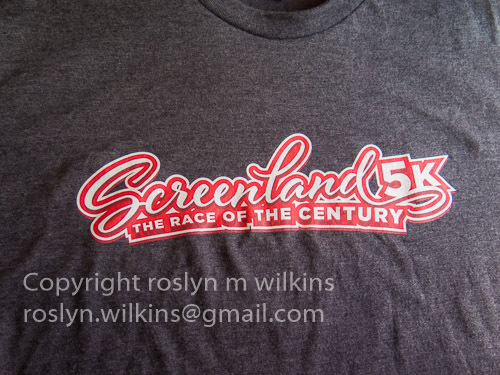 So I will be sure to take part in that one on August 9. Make your plans now and I’ll meet you at the station! 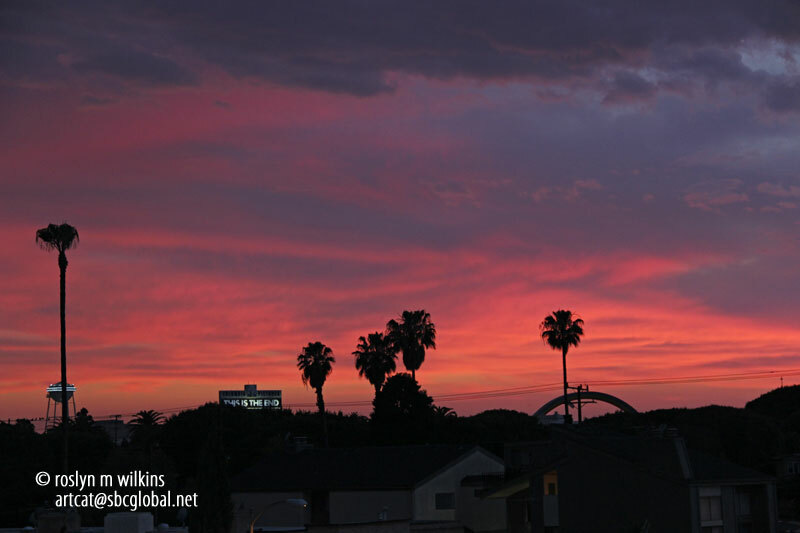 Categories: City views, Culver City, Events, Los Angeles, Movies, Neighborhoods, Outdoors, Photography, Sightseeing, Southern California, Uncategorized, Walks | Tags: bicycles, biking, bougainvillea, CicLAvia, Culver City station, Expo Line, Hollywood, Home Savings, LA Basin, Millard Sheets, North Hollywood, public, Red Line, San Fernando, Santa Monica Mountains, Studio City, transportation, Universal Studios, Valley | Permalink. Although it’s been more than three weeks since I last posted anything on my blog, I have noticed that the world has not come to an end. That’s a relief knowing I am not responsible for such an event. So life goes on with or without my blog posts, which is a good thing as I have just been too busy taking care of other parts of my life. And as I want blogging to be an enjoyable activity, not something I HAVE to do, I refuse to force myself. Also, lately I have been feeling very antsy and unsettled for a variety of reasons I won’t go into here. But I consider myself very fortunate that when I do get antsy I can just pick up and go to any number of interesting places to take my ants for a walk. A couple of weeks ago I knew I had to get out of the house, explore an area I was not that familiar with, and take some photos. I thought about visiting this place and that place and some other place, but finally the light bulb came on. 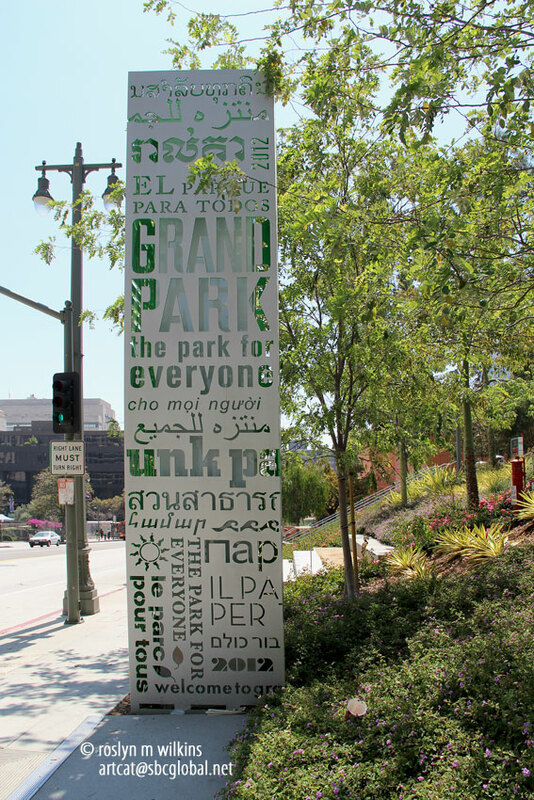 Grand Park. 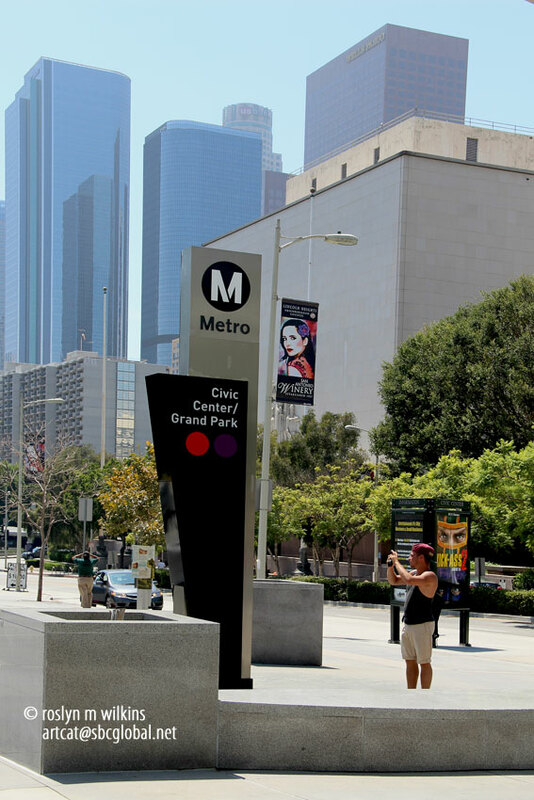 I took the Expo Line train to the Red Line, and when I exited at the Civic Center Metro Rail Station I found myself splat in the middle of the park. Although I had driven past it before I had not stopped to investigate. When driving a car, finding a place to park is always an issue and one of the reasons I prefer to take public transportation when possible. And there is nothing I enjoy more than being able to travel door-to-door on the train. 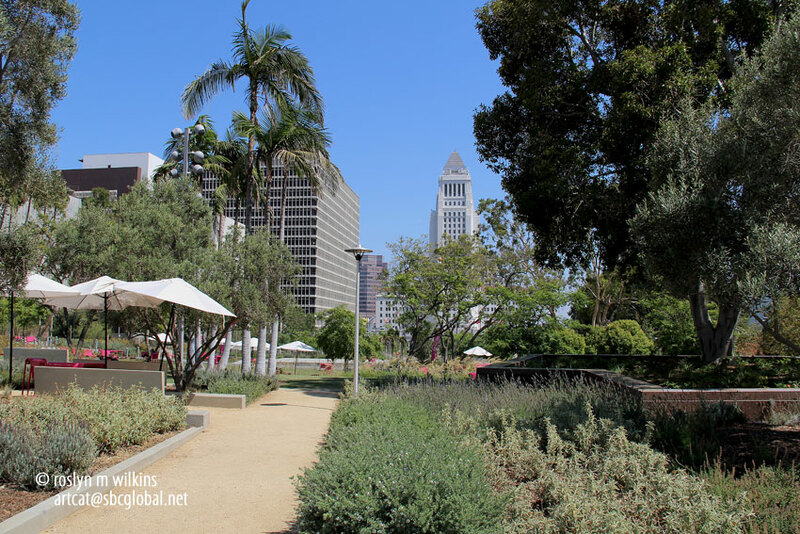 Grand Park is a 12-acre park stretching over four blocks in downtown Los Angeles, situated between the Music Center on the west at North Grand Avenue and City Hall on the east at North Spring Street. 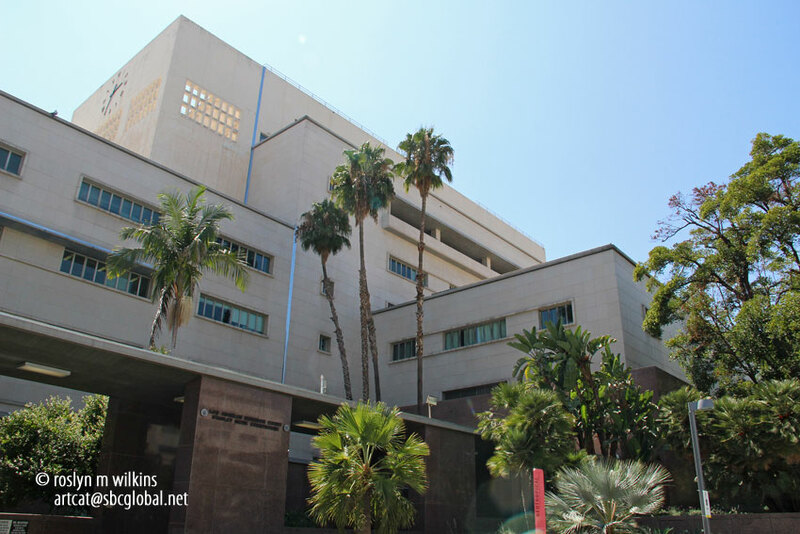 The park is flanked on the south and north by Los Angeles County court houses including the notorious Clara Shortridge Foltz Criminal Justice Center, noted for the O. J. Simpson case, the trial of Michael Jackon’s doctor and other high profile criminal trials. 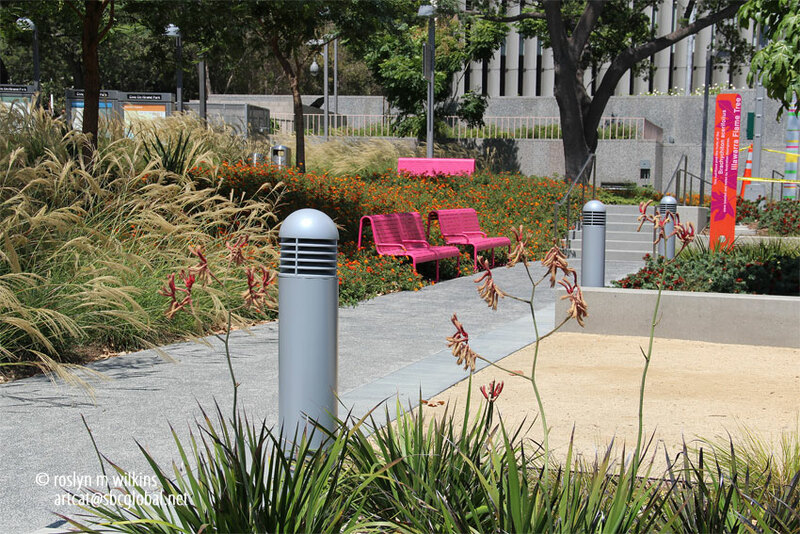 Grand Park officially opened about a year ago, I believe. There was some kind of public area in that spot before but I really don’t recall. It was evidently rather drab. 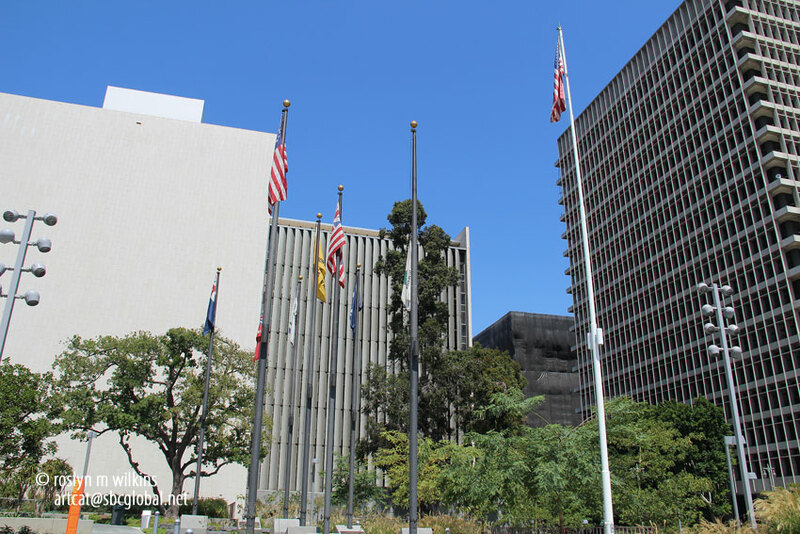 Court of Historic American Flags. 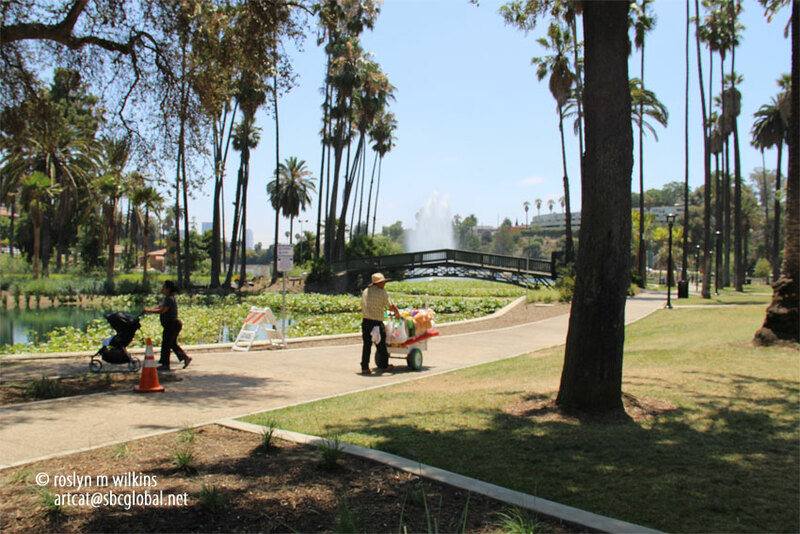 Now it has been beautifully landscaped with distinct sections including a gorgeous restored fountain with a wading pool. 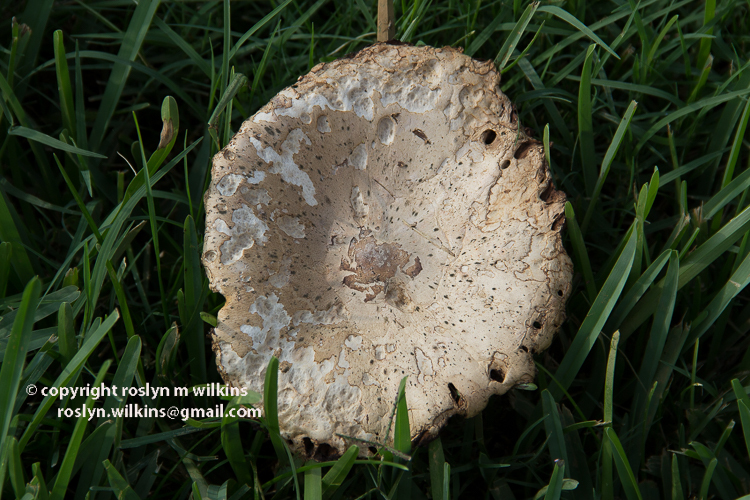 I got a little carried away taking photos of that so I am going to reserve that subject for a separate posting. 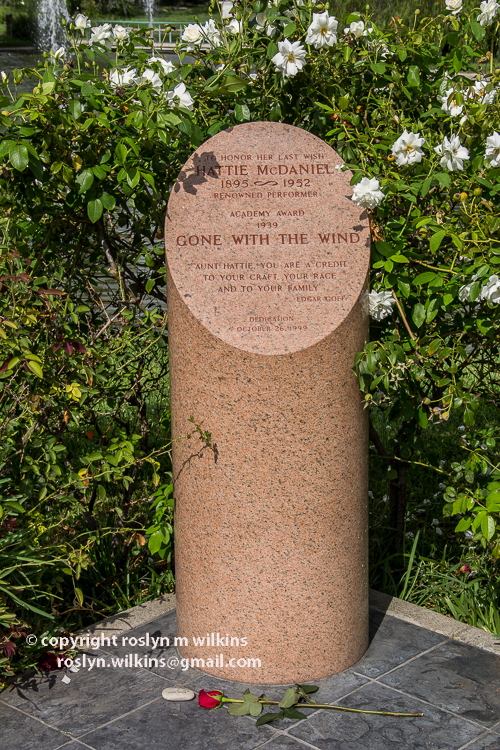 One of several markers at entrances to the park. 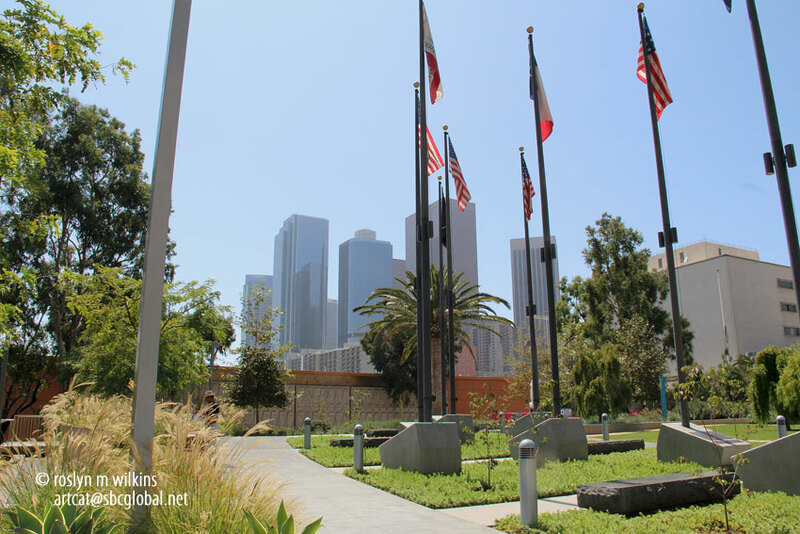 Grand Park. The park for everyone. 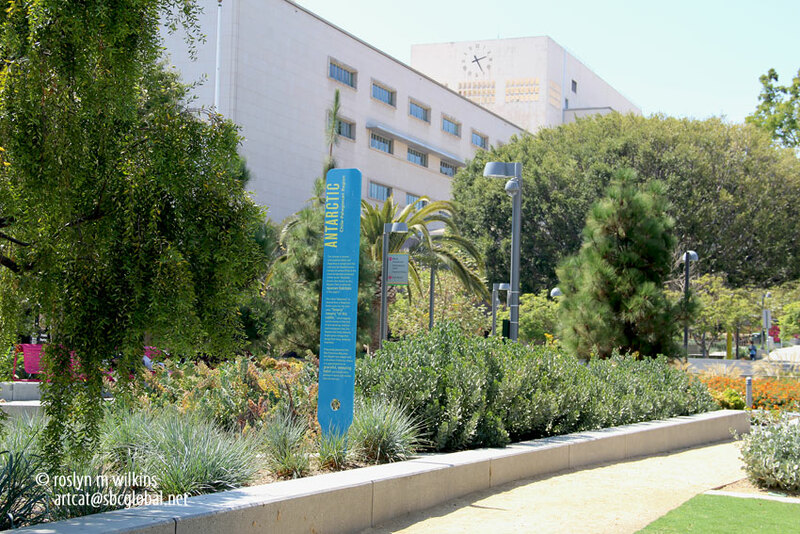 Other areas include a spacious, open lawn area for events such as concerts; shady places where visitors can sit and meditate; and gardens planted with drought-tolerant plants from around the world representing the cultural diversity of the City of Angels. 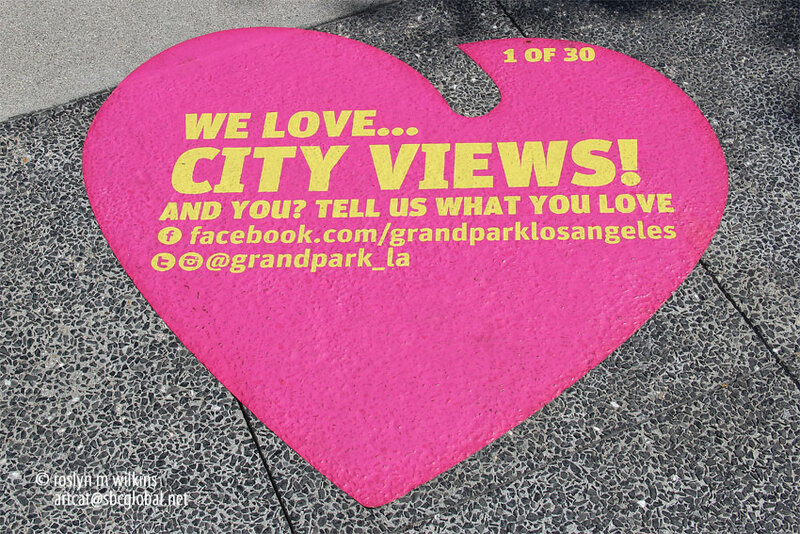 Yes, we do indeed love city views! 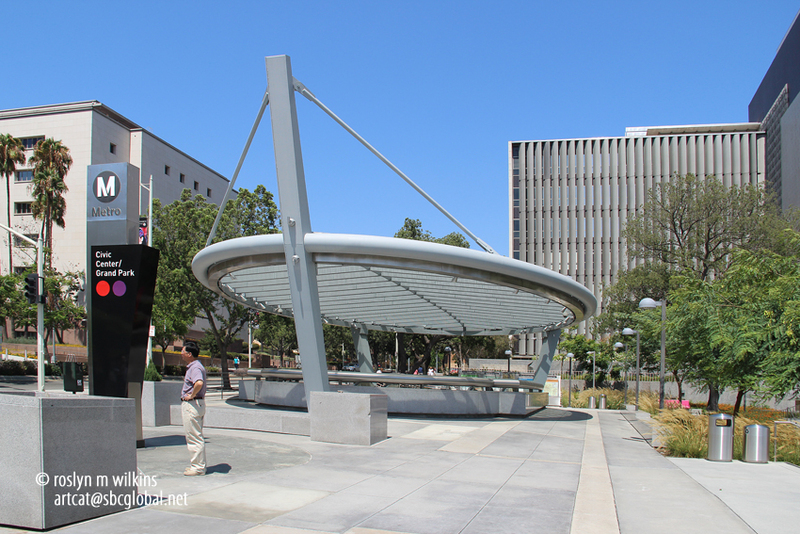 There are also some nice views of City Hall that I will post in Part Three. 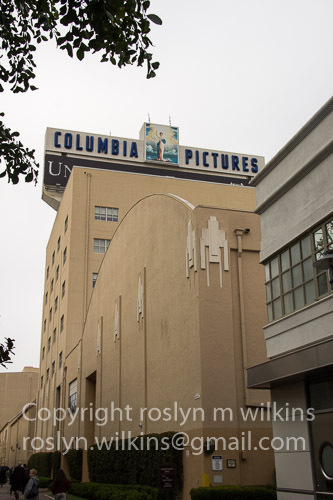 I want to make this same trip again in the near future and write a separate blog entry about that iconic building. 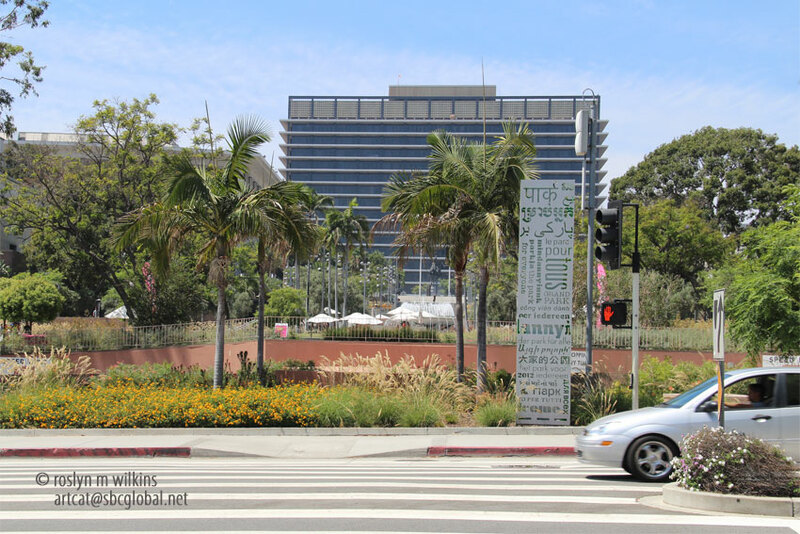 I also intend to do a dedicated posting about the Music Center now I know how easy it is to get there. 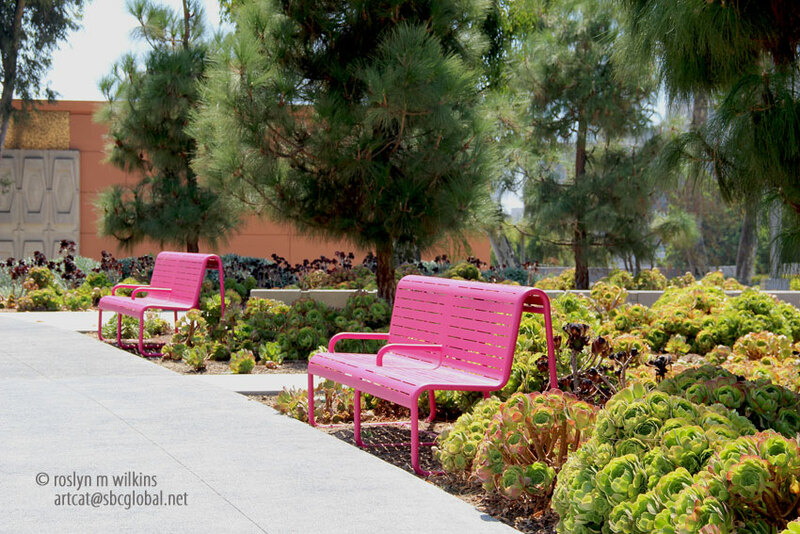 I love the choice of bright pink chairs and tables scattered around the park. It was a very hot Sunday so there were not a lot of people out in the open areas. 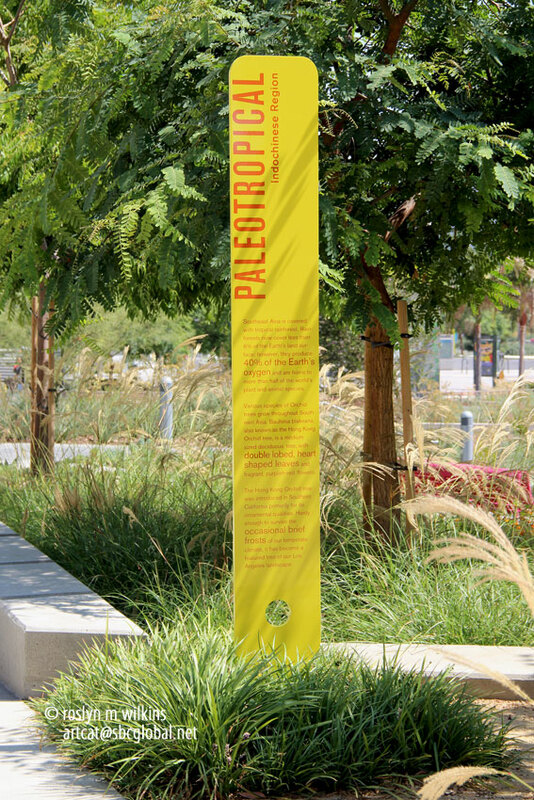 These signs are installed all over the park describing the habitat of that particular section such as this Paleotropical area. 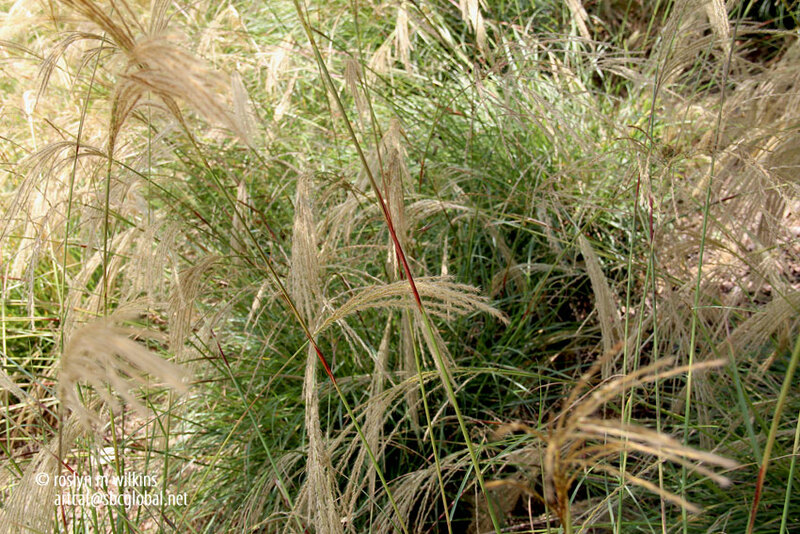 Grasses weaving an abstract design. 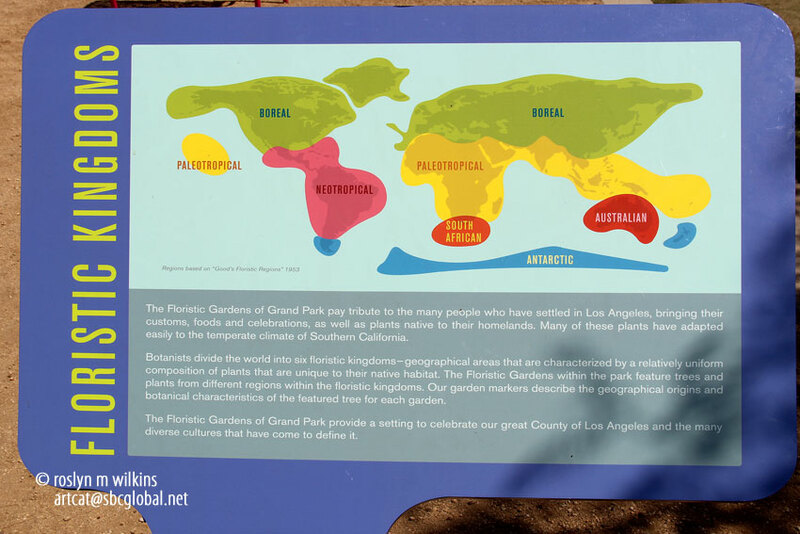 Sign board showing the six floristic kingdoms of the world which are all represented at the park. 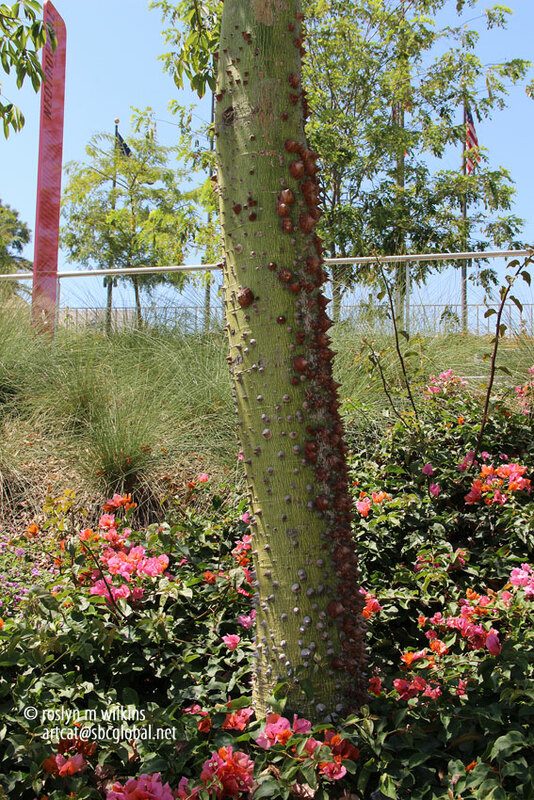 A fine example of a “Monkey no climb tree.” I don’t have to explain that name! 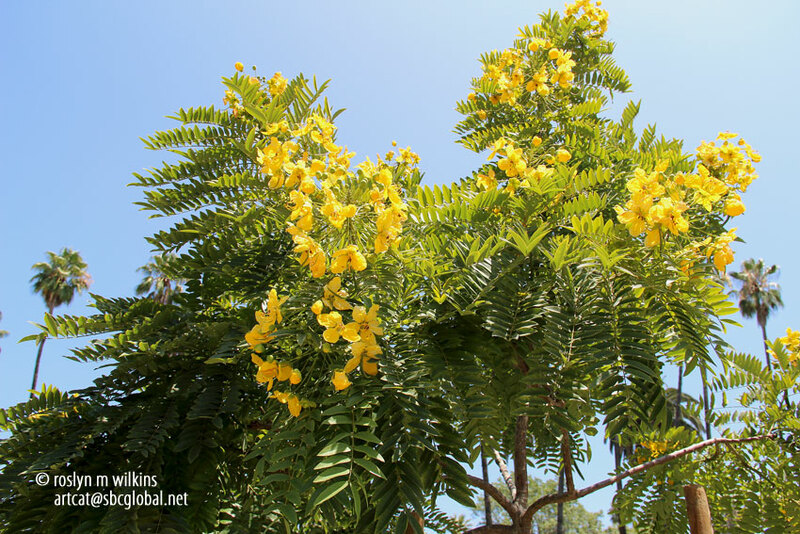 Also known as Hura crepitans, the sandbox tree, possumwood and jabillo. 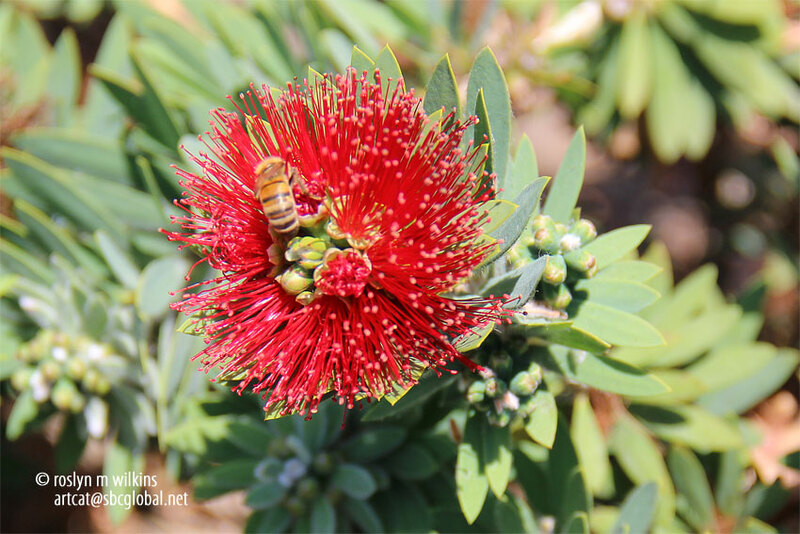 You can’t tell from this photo but these red-flowered plants were buzzing with bees… I was afraid to get too close for fear of making them all angry. However, I managed to capture one when it wasn’t looking. 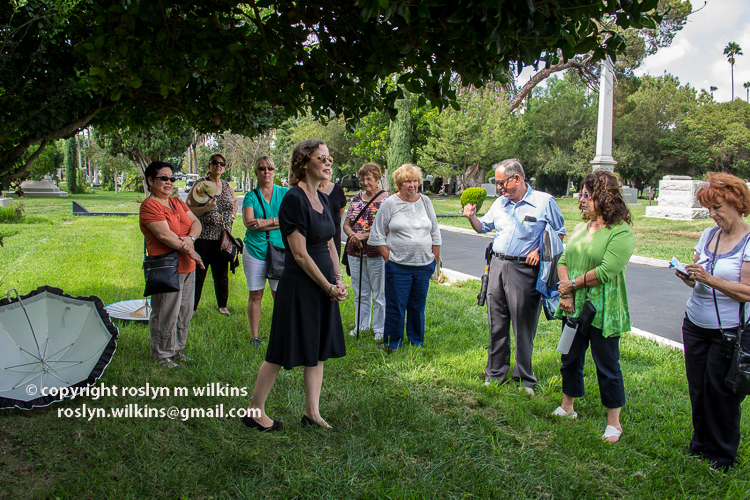 Currently there is discussion regarding the fate of the county buildings surrounding the park. They are outdated and no longer serving the needs of the offices and courts housed in them. However, as blah as these buildings are, they represent an architectural period (don’t quote me, but I believe they were contructed in the 1950s) and, just like the original Los Angeles County Museum of Art buildings from the 1960s (a whole other story) I would rather see them preserved in some fashion rather than being completely razed. 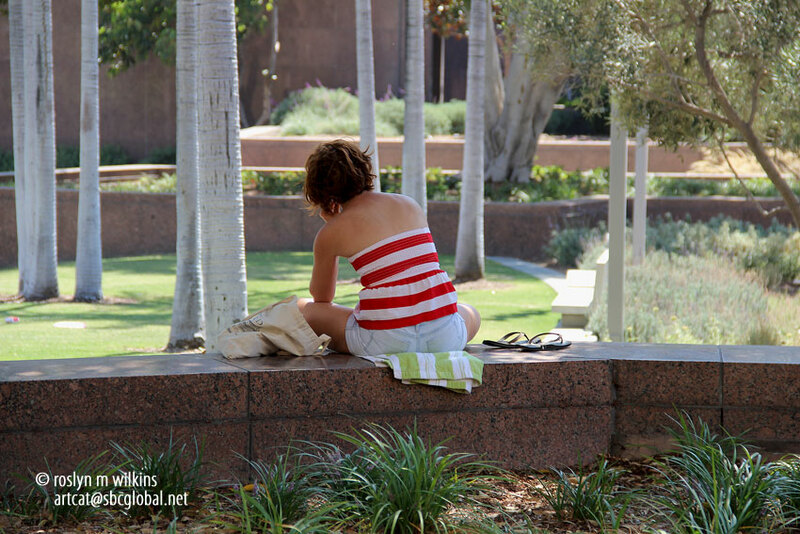 This young lady dressed for summer represented the mood of the park on this sultry, lazy Sunday afternoon. 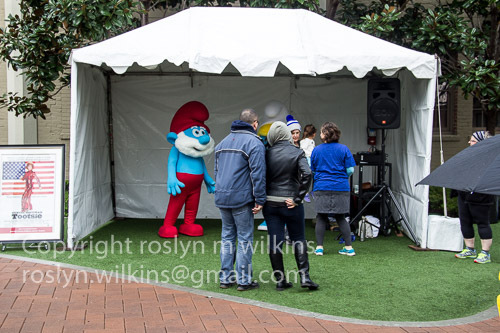 I have to say, I was very impressed with the park, given the constraints of the location. I will be back! 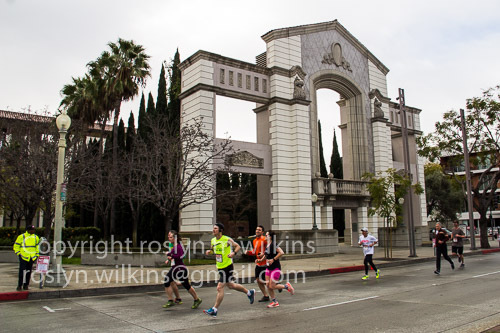 Los Angeles City Hall in the distance which will have its very own blog post one of these days! 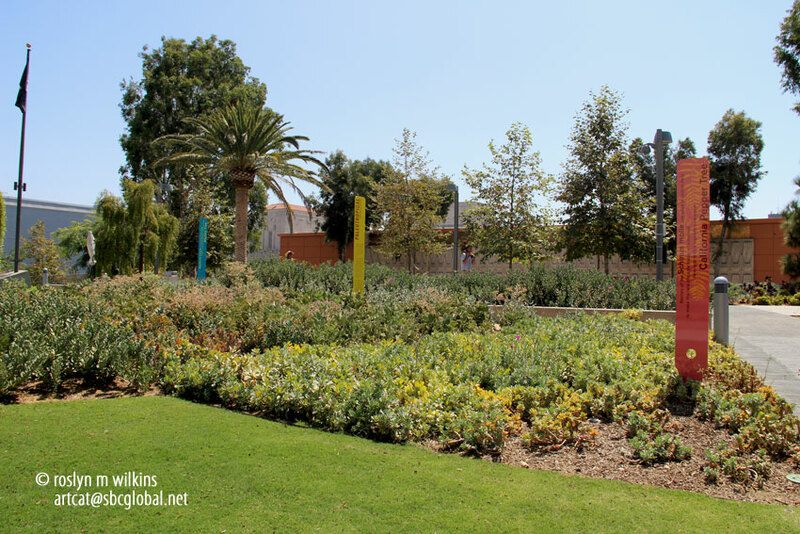 Stayed tuned for Part Two, the fountains at Grand Park coming up in the next few days, I hope… In the meantime, you can visit Grand Park, part one and a half. 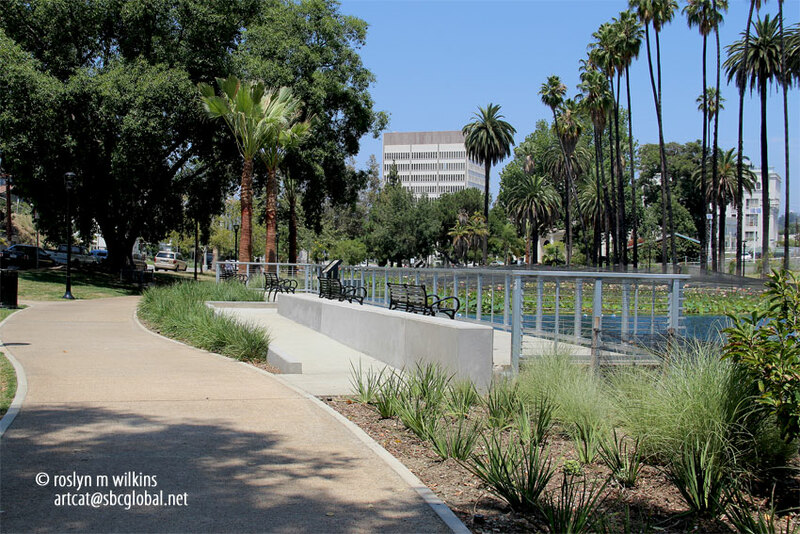 Categories: Architecture, City views, Gardens, Landmarks, Movies, Neighborhoods, Parks, Sightseeing, Southern California, Trees, Walks | Tags: Los Angeles Grand Park | Permalink. 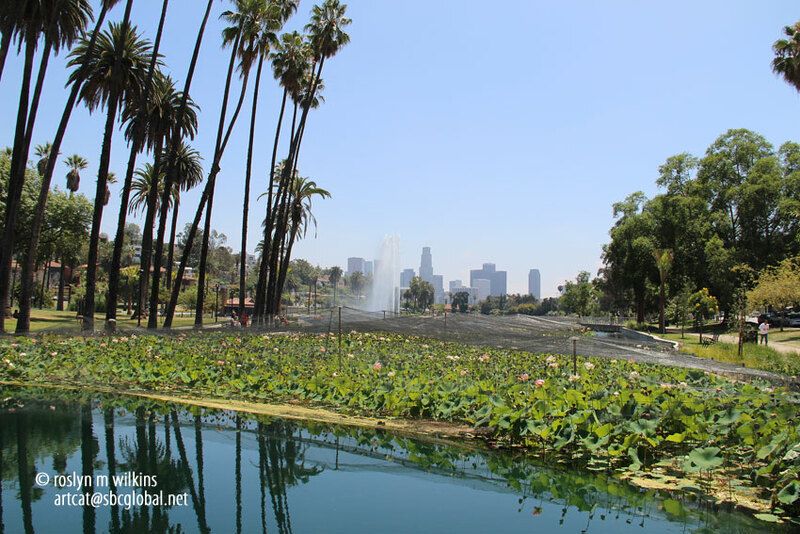 Just two months ago the 29-acre Echo Park Lake re-opened to the public after two years of reconstruction. Residents from my mother’s assisted living facility made the trip there for a picnic this week. 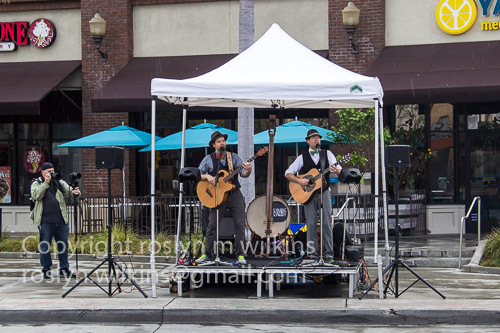 As you know, I always enjoy going along on these outings. 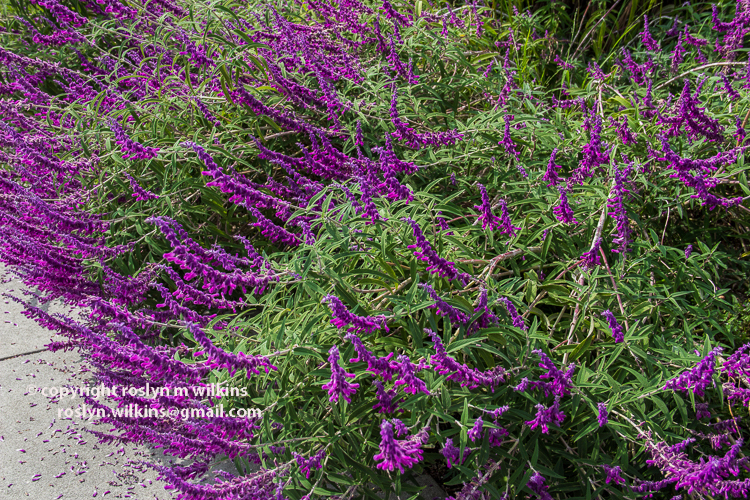 It was another beautiful southern California summer day and great to be outdoors. 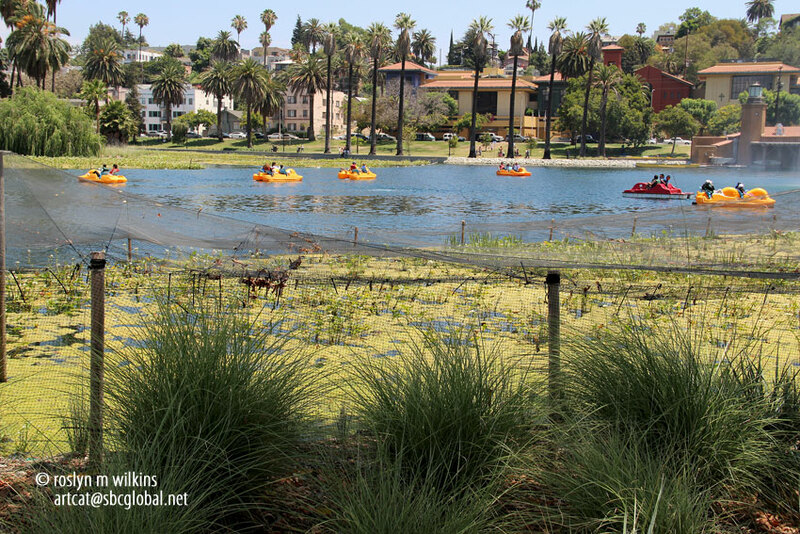 In 2006, Echo Park Lake was identified by the State of California as an impaired water body. 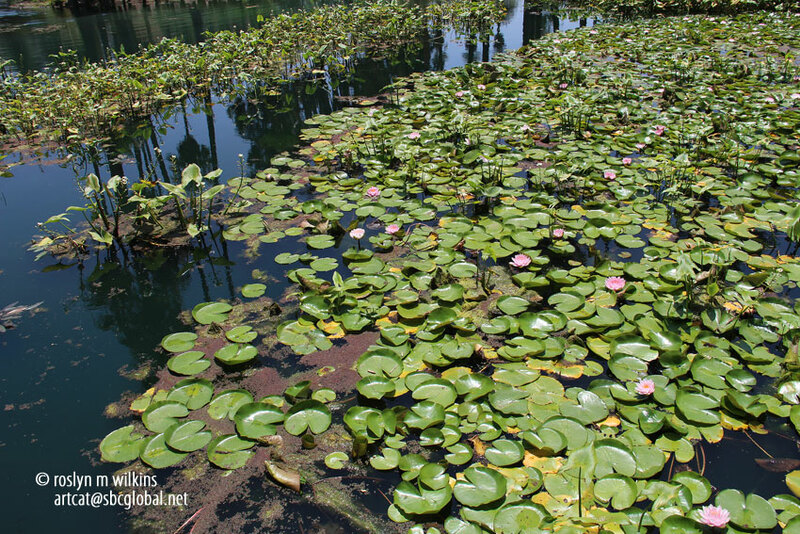 It has been rehabilitated to help remedy storm water pollution, meet the State’s water quality standards and make the lake more sustainable. 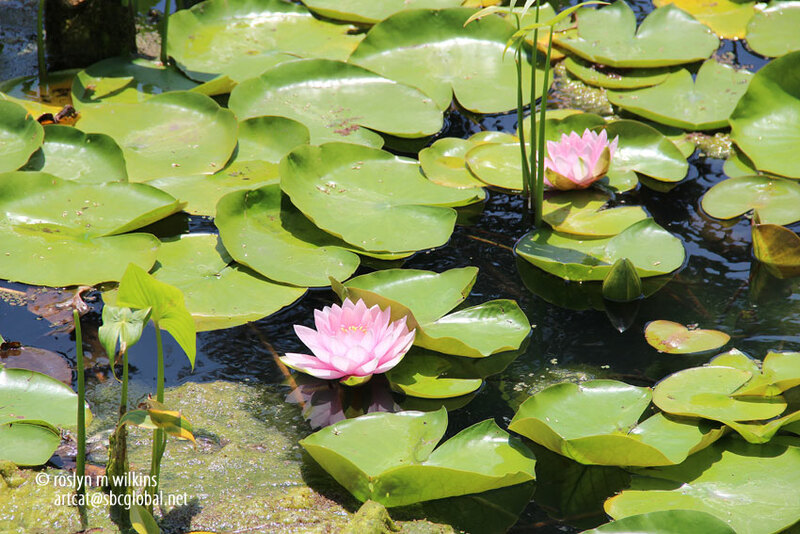 And the water lilies seem to be enjoying the clean water. Not to mention the kids in their jungle jim. 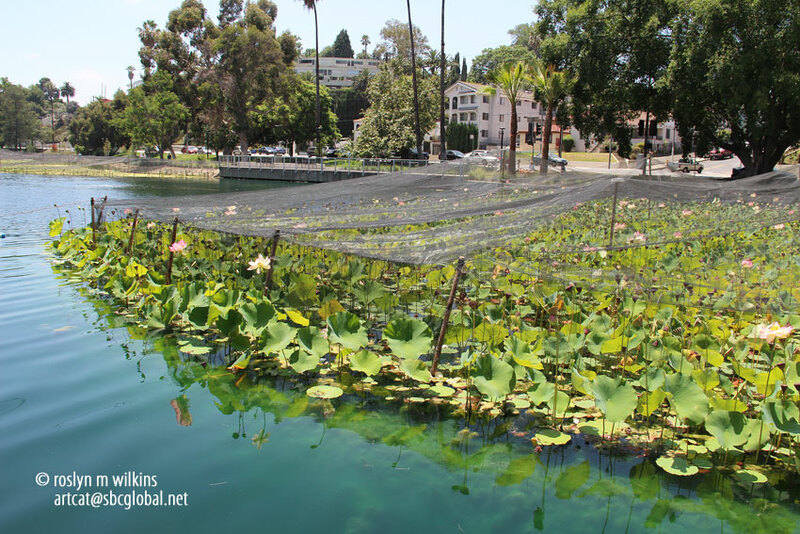 The lake was originally built in the 1860s as a reservoir for drinking water. 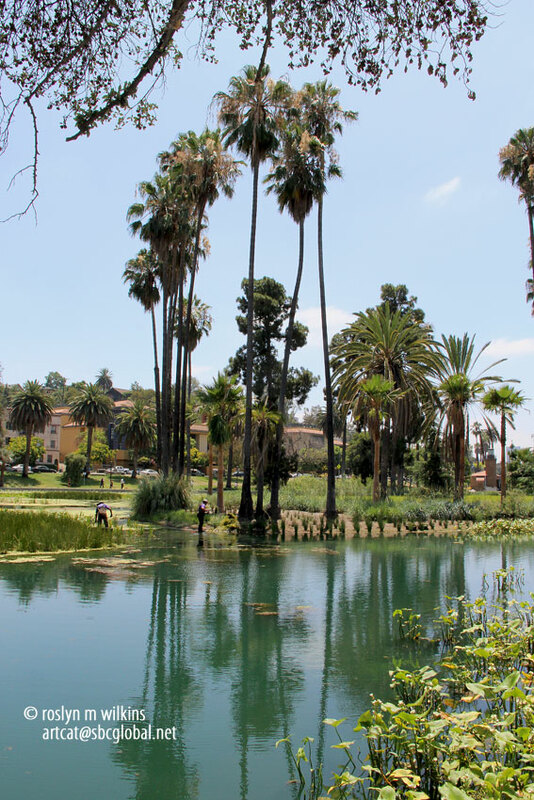 Legend has it that the lake got its name as workers building the original reservoir said they could hear their voices echoing off the canyon walls. 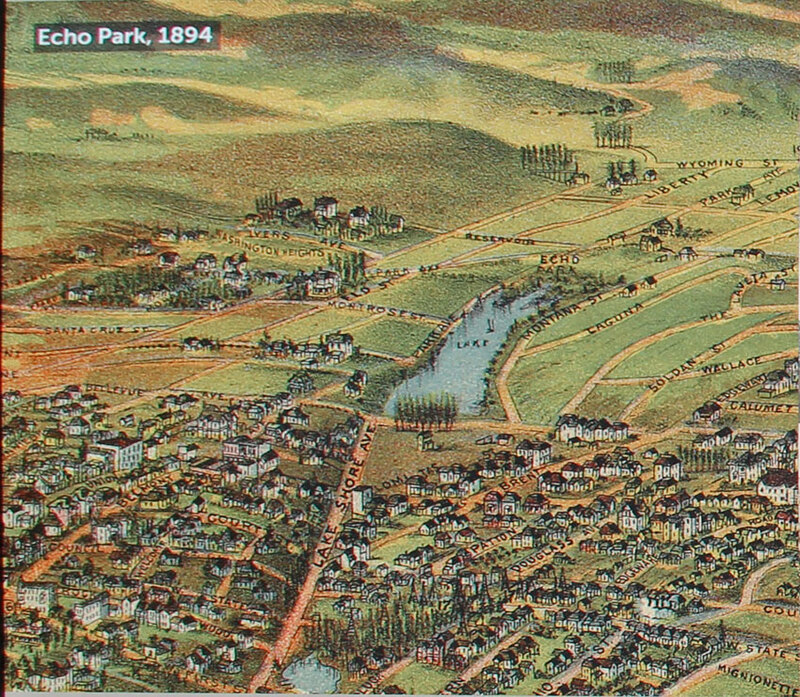 Map showing the area in 1894 looking north to the mountains. If you look closely you can see a cluster of oil wells at the bottom center, not an unusual sight in those days. 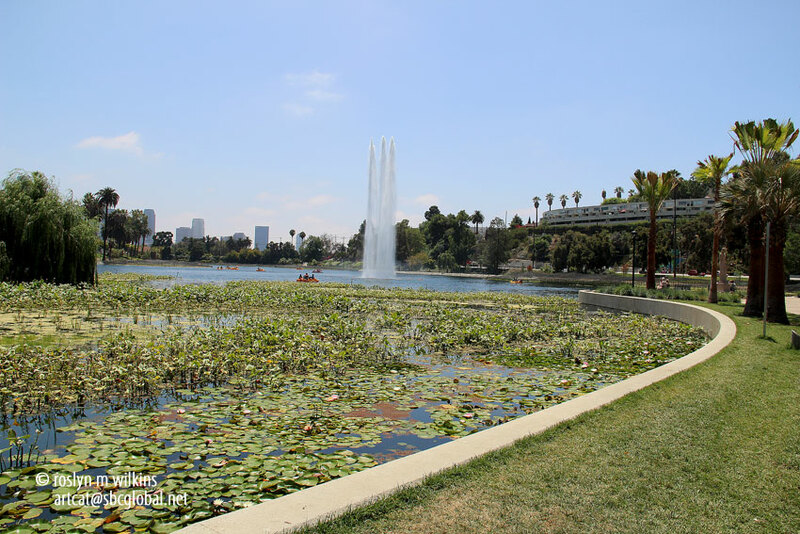 Today Echo Park Lake is a Los Angeles icon that functions primarily as a detention basin in the City’s storm drain system, while providing recreational benefits and a wildlife habitat. 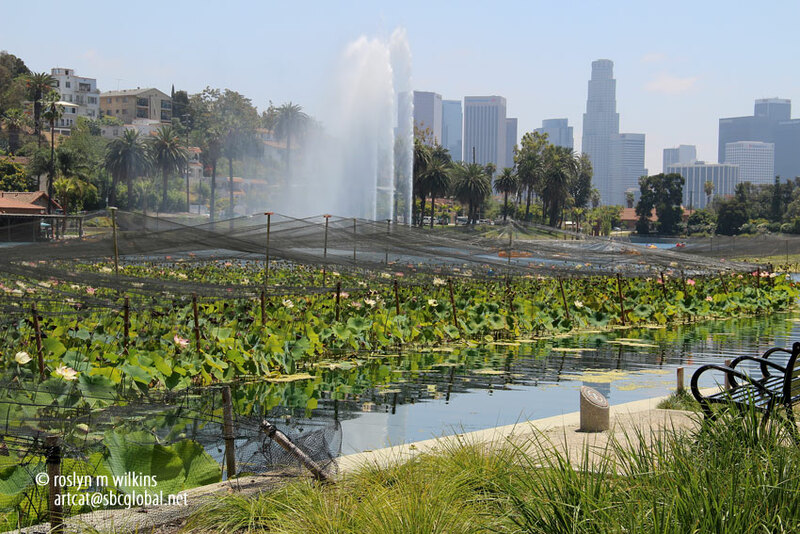 About five years ago all the lotus flowers—a variety of nelumbo nucifera—that the park was famous for over a number of decades, died off for some mysterious reason. Some blame people digging for lotus roots that are an Asian delicacy. 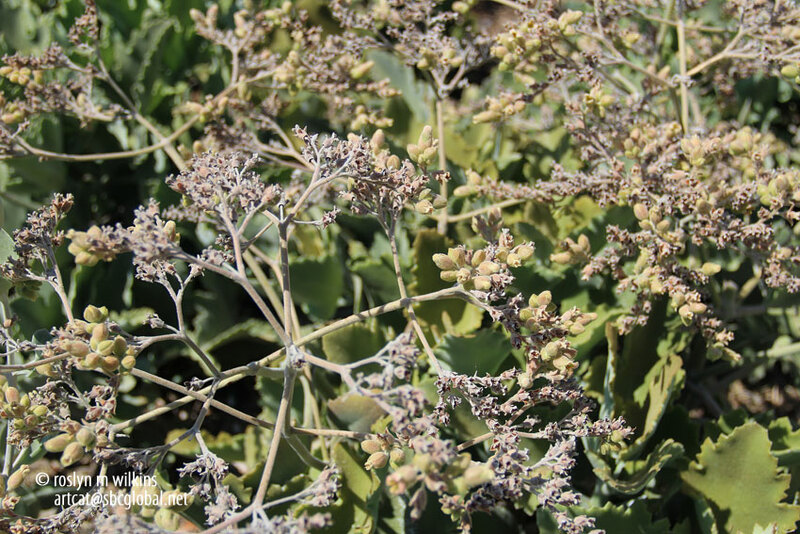 Others point fingers at maintenance procedures that destroyed the seeds. These new lotuses (loti?) 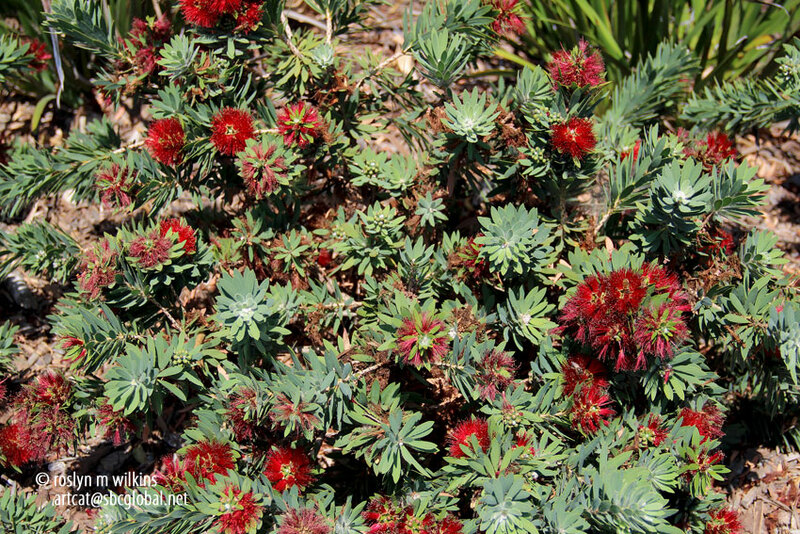 were planted in February from cuttings taken from the old plants. 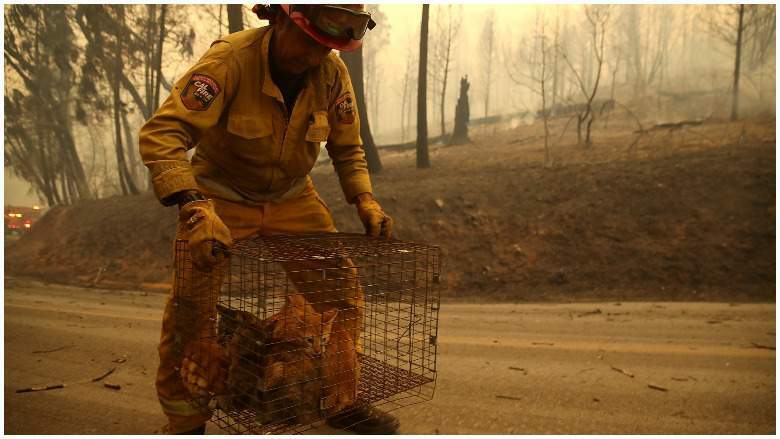 They are currently growing under netting to protect them from birds until they reach adulthood. Let’s hope they live long and prosper. 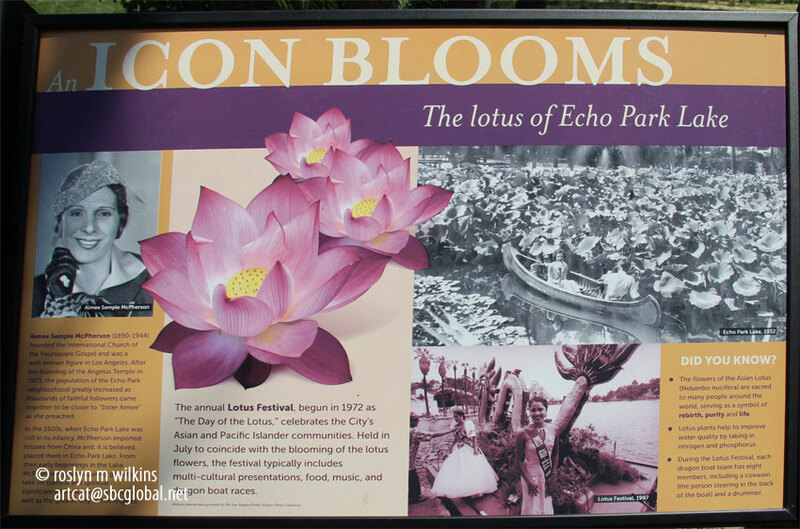 In past years Echo Park Lake has hosted an annual Lotus Festival. 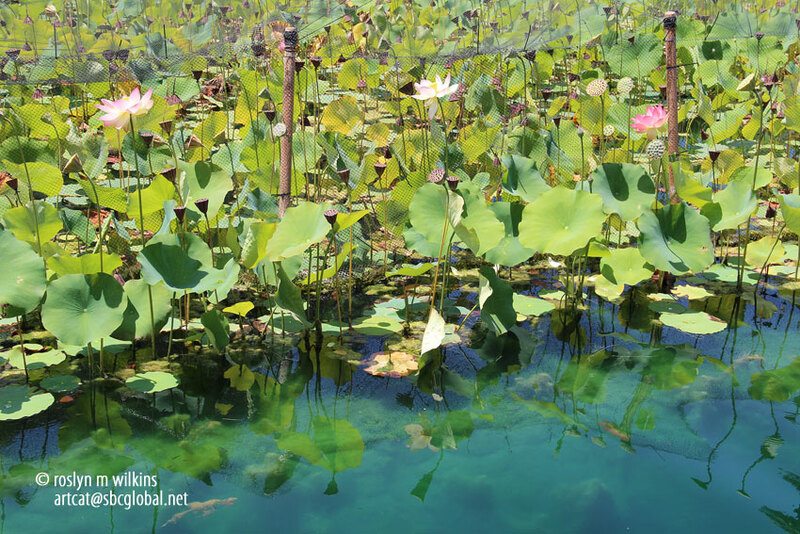 I believe it will return next year when the lotuses have established themselves once again. 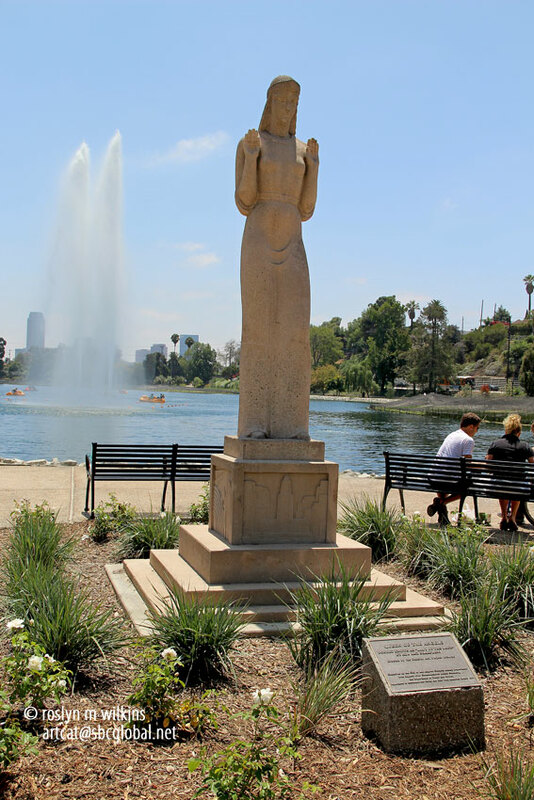 Statue honoring Our Lady, Queen of the Angels (Nuestra Mujer, la Reina de Los Angeles), fondly known as Lady of the Lake. 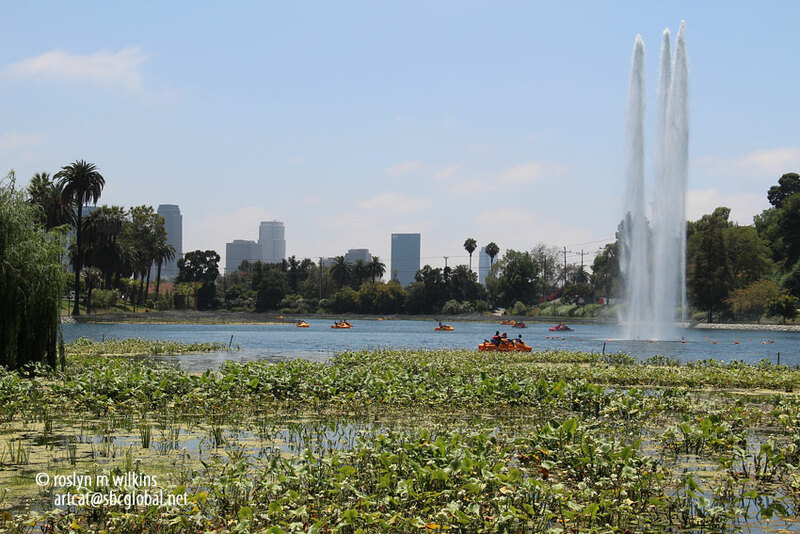 Echo Park Lake is close to downtown as you can see from the photo. 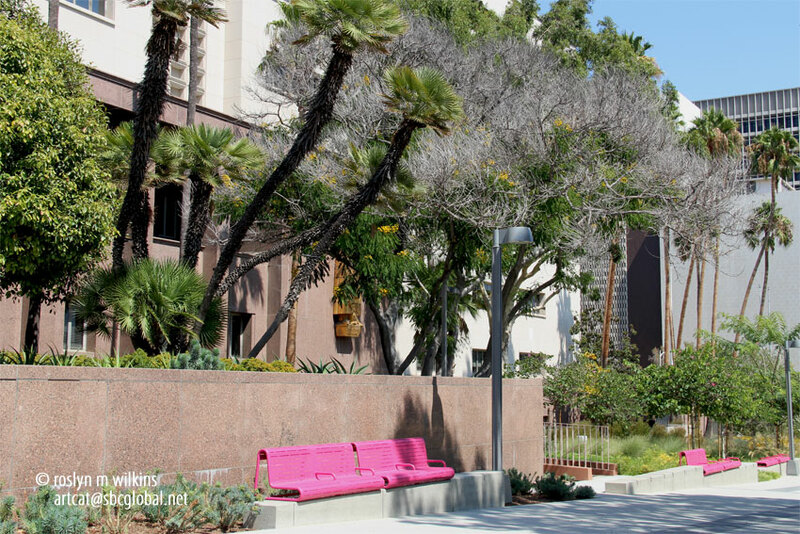 It is located between the 101 Freeway/Hollywood Freeway on the south and Sunset Boulevard to the north. 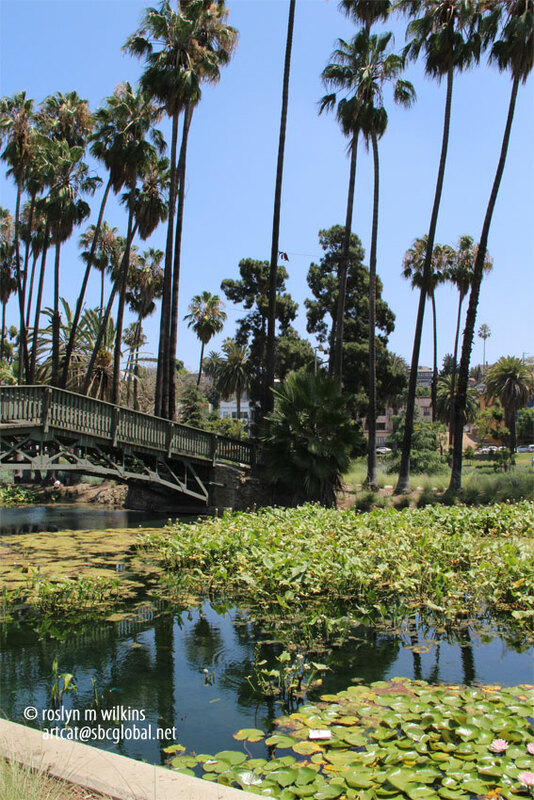 One of the earliest silent film studios was built in Echo Park in 1912 and any movie of that era that needed water was filmed on the lake. Since then too many movies and TV shows to mention have used that location. 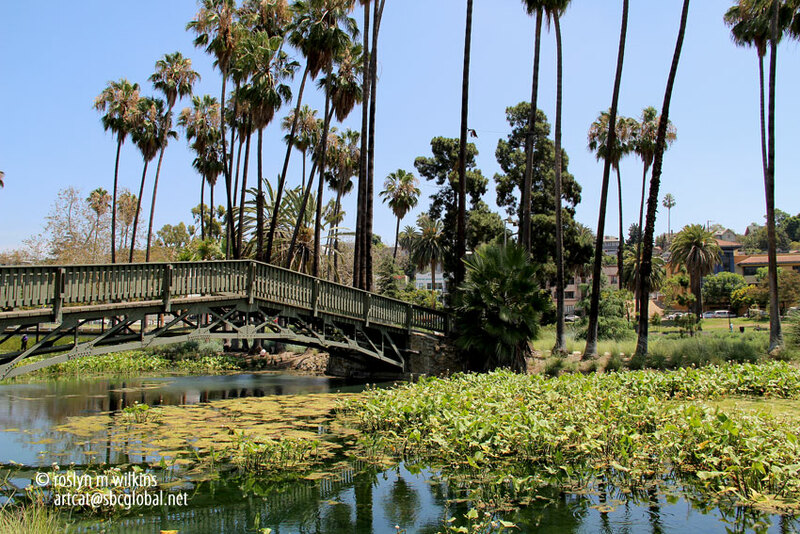 If you ever saw “Chinatown” with Jack Nicholson, then you have seen Echo Park Lake! 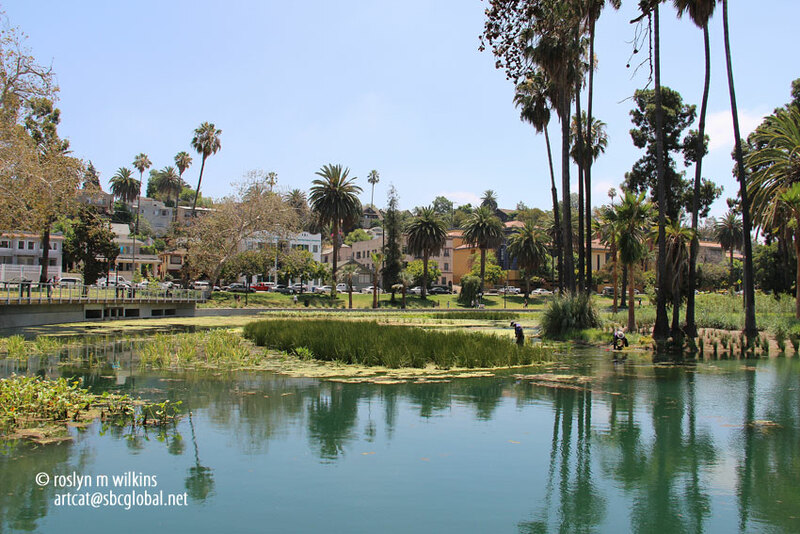 In 1986 a movie named Echo Park starred Susan Dey and Tom Hulce. 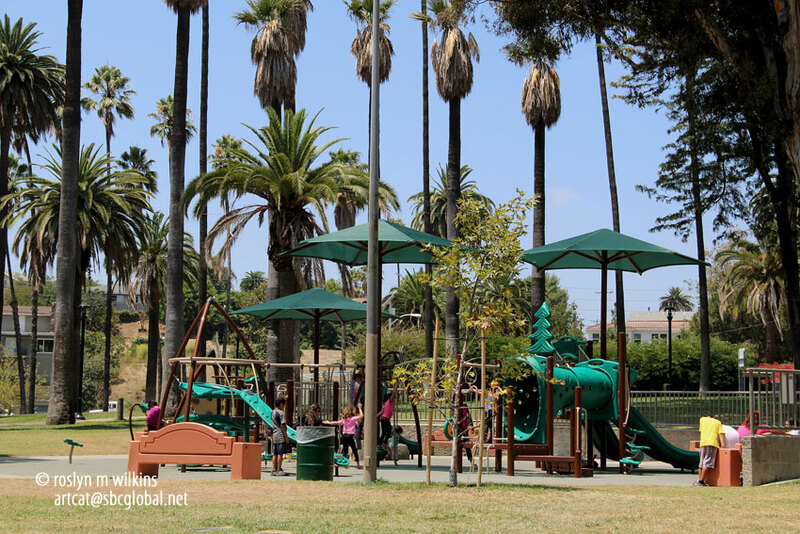 And the newly elected Mayor of Los Angeles, Eric Garcetti lives in the Echo Park district. 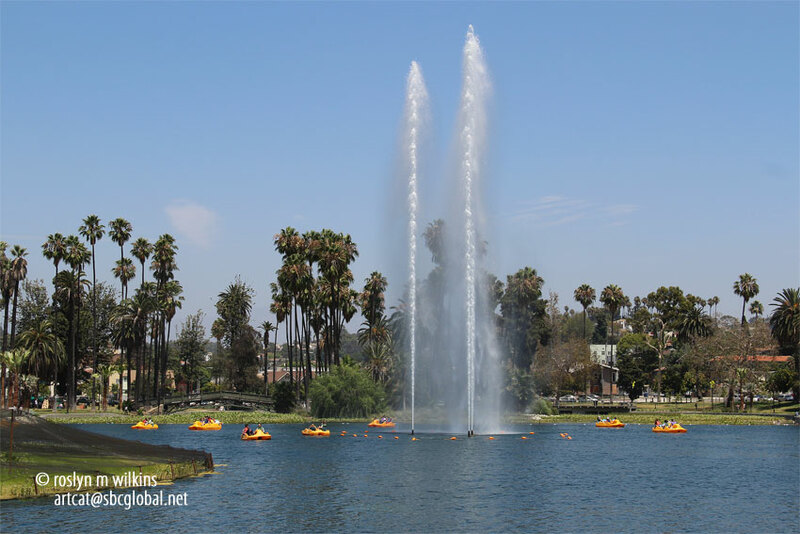 The fountains were installed for the Olympics held in Los Angeles in 1984. 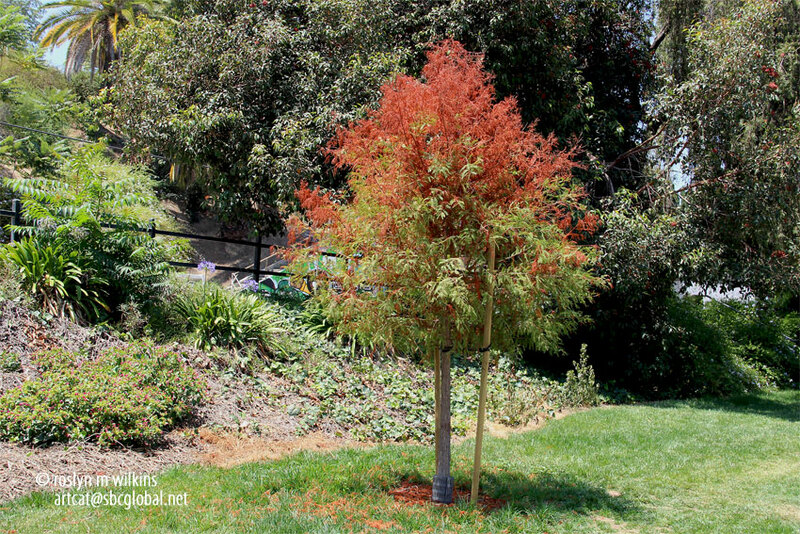 I have no idea what this red-leafed tree is but it certainly is lovely. This tree I do know. 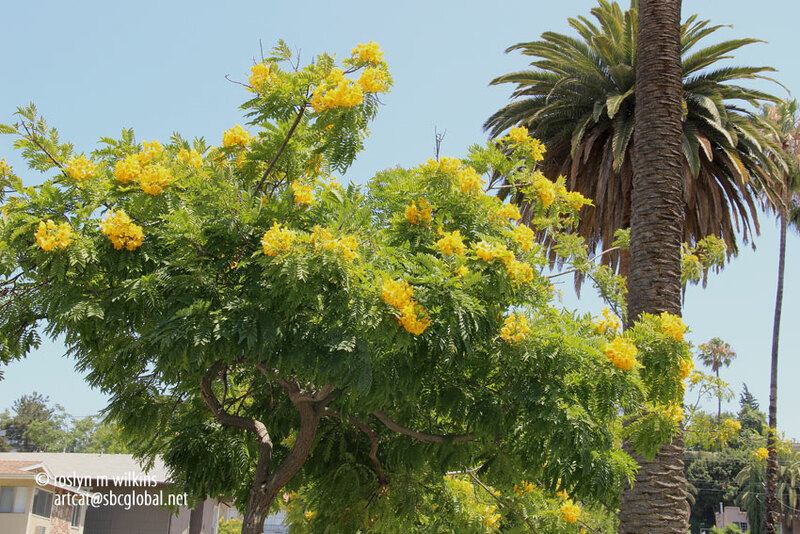 Gold Medallions are blooming all over the Los Angeles area right now. 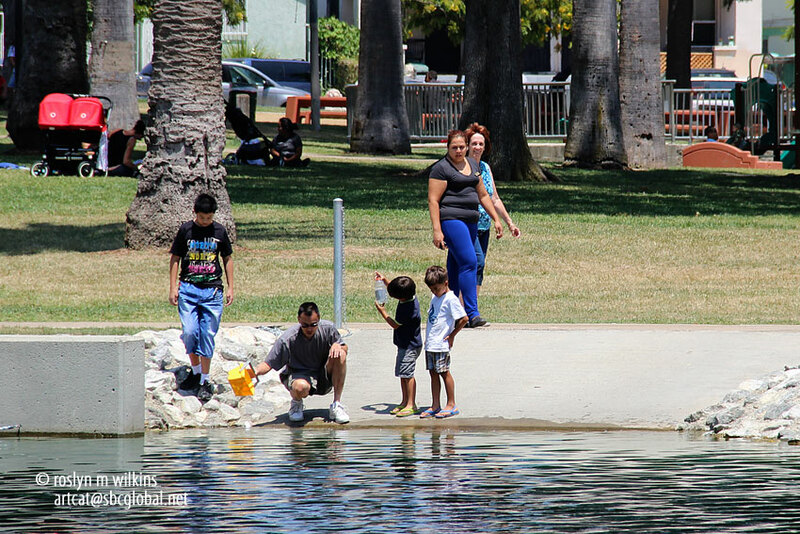 Lovely day for a family outing or a stroll around the lake. Too bad we have to leave and can’t stay with this mother pushing her stroller and the ice cream vendor with his sweet fare for sale. But onward we must go. 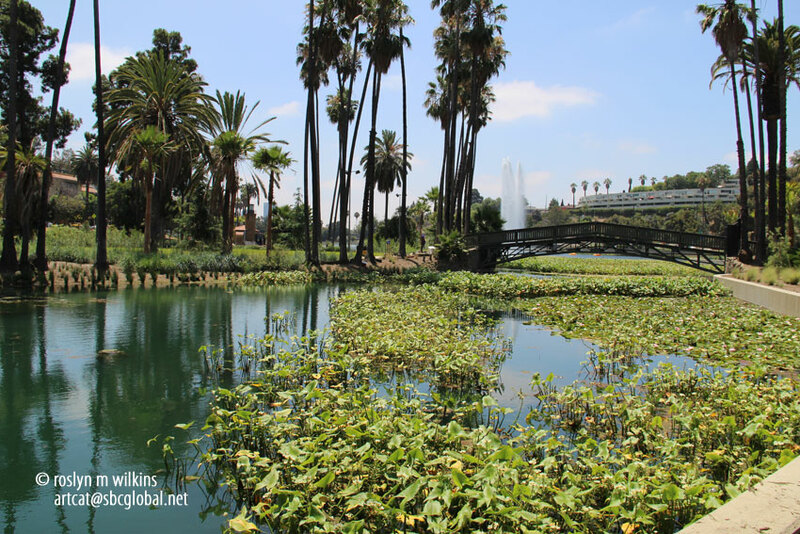 Categories: City views, Flowers, History, Landmarks, Los Angeles, Movies, Nature, Neighborhoods, Parks, Sightseeing, Southern California, Trees, Walks | Tags: Echo Park Lake, Lotus flowers, water lilies | Permalink.